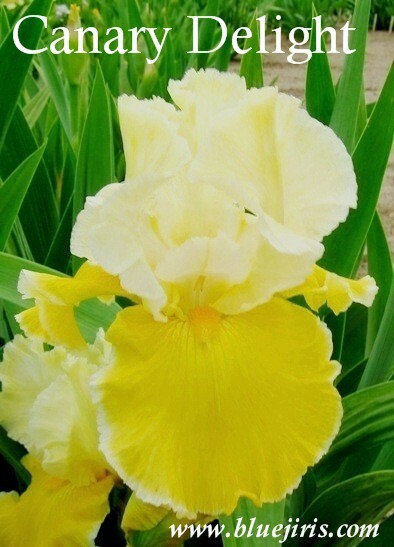 S-lemon yellow; SA-yel. 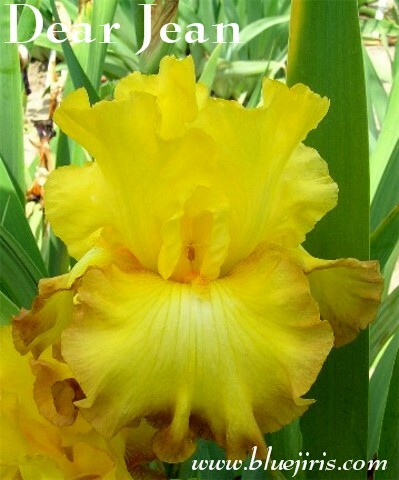 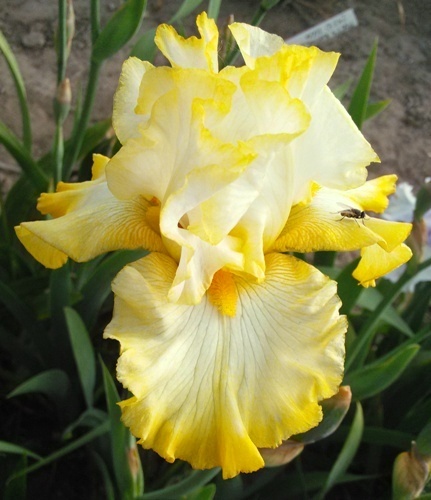 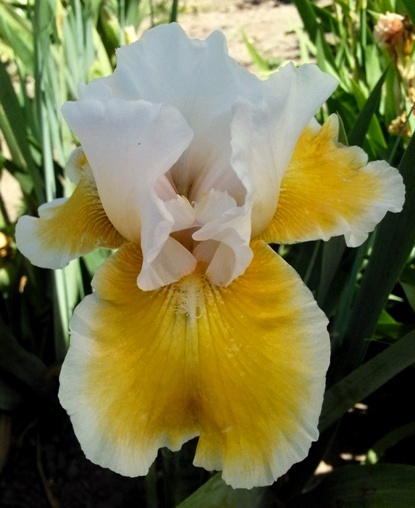 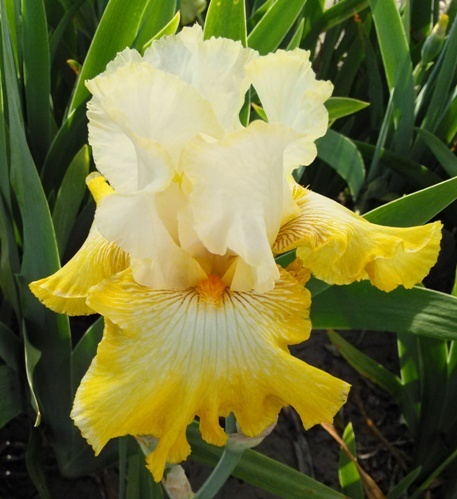 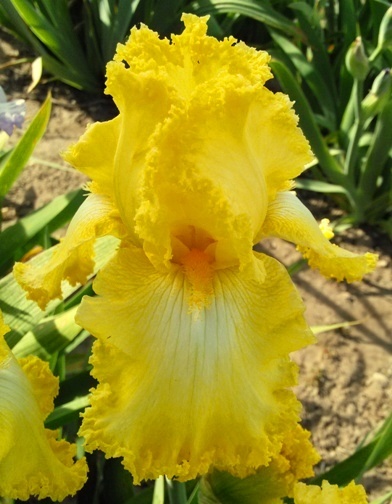 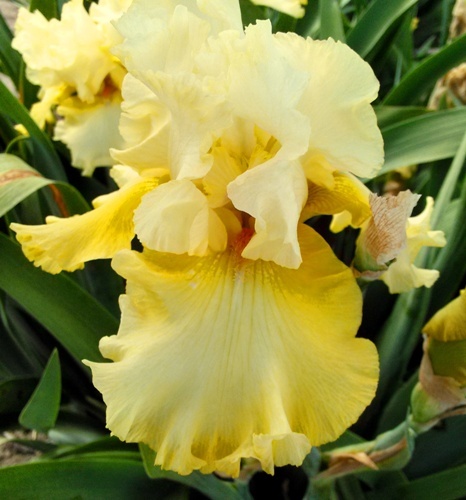 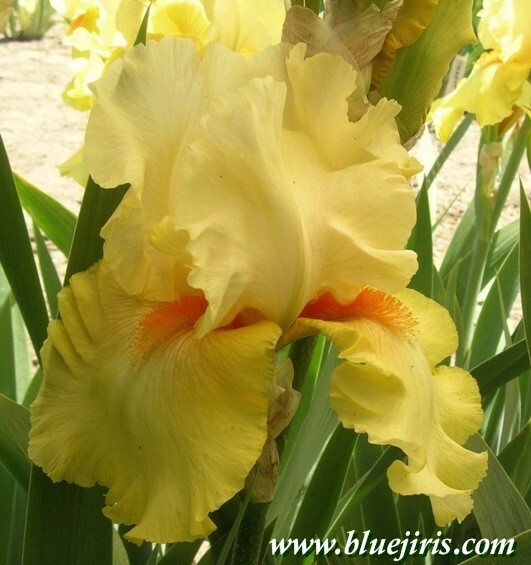 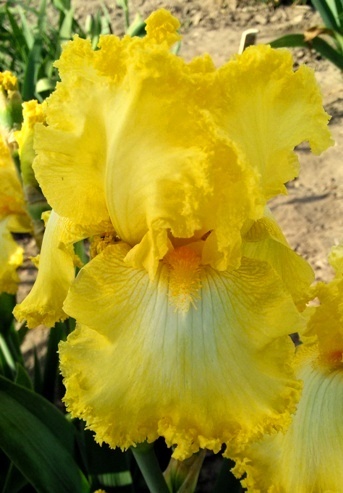 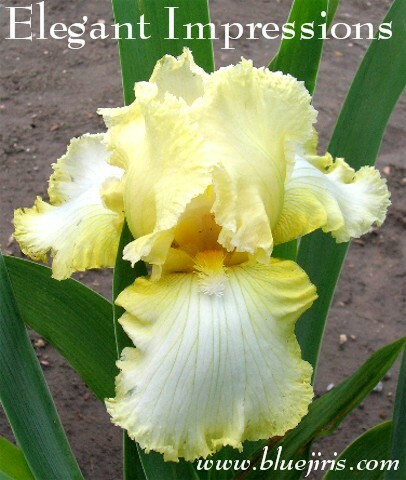 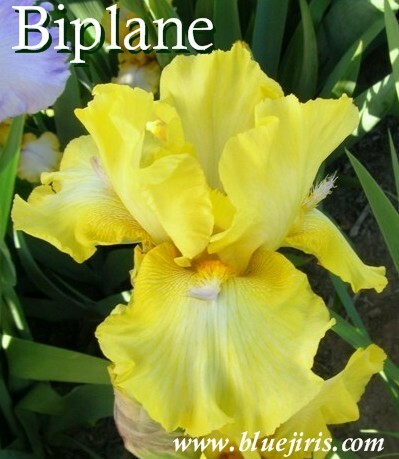 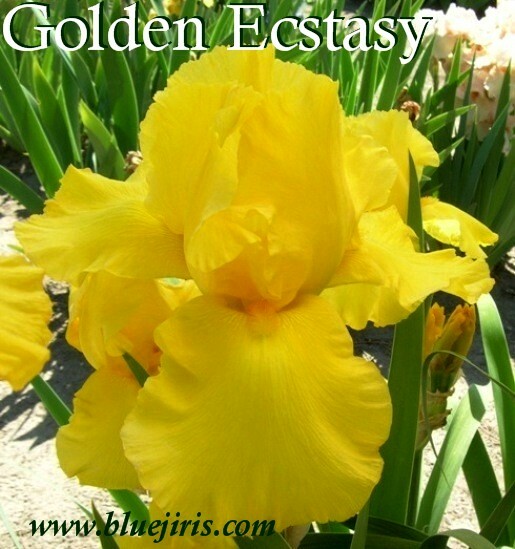 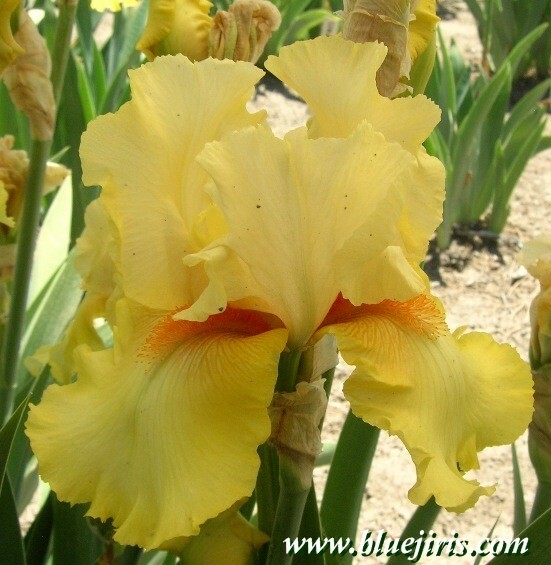 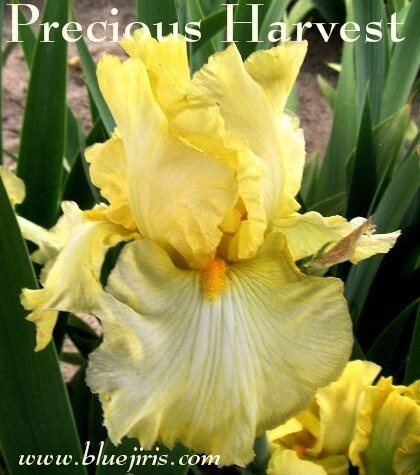 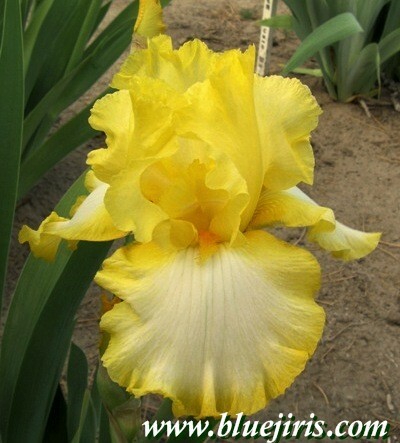 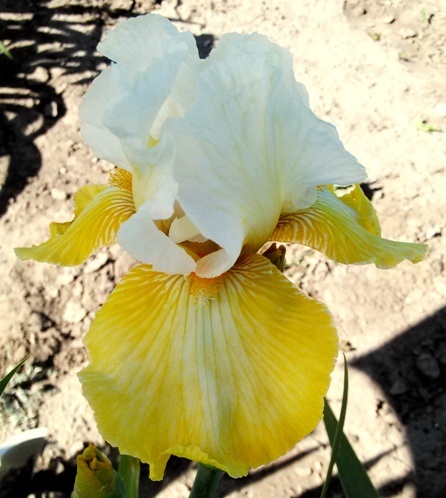 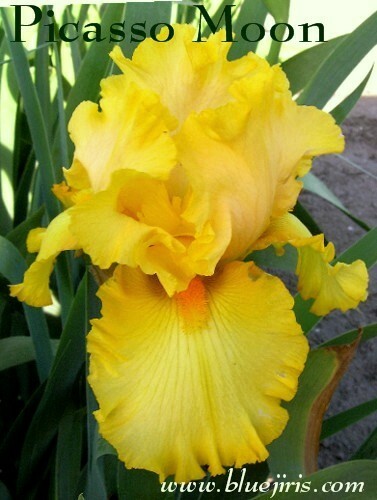 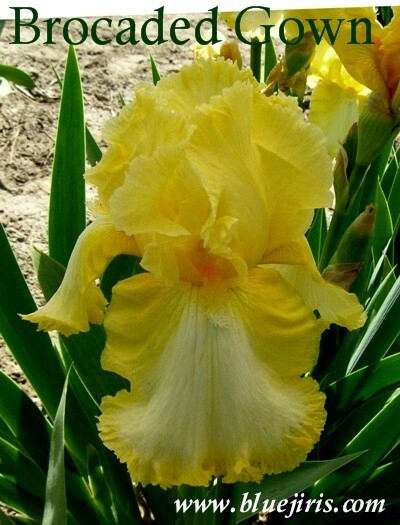 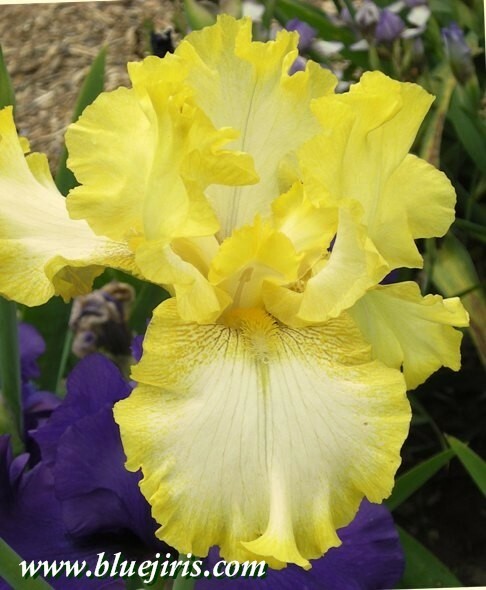 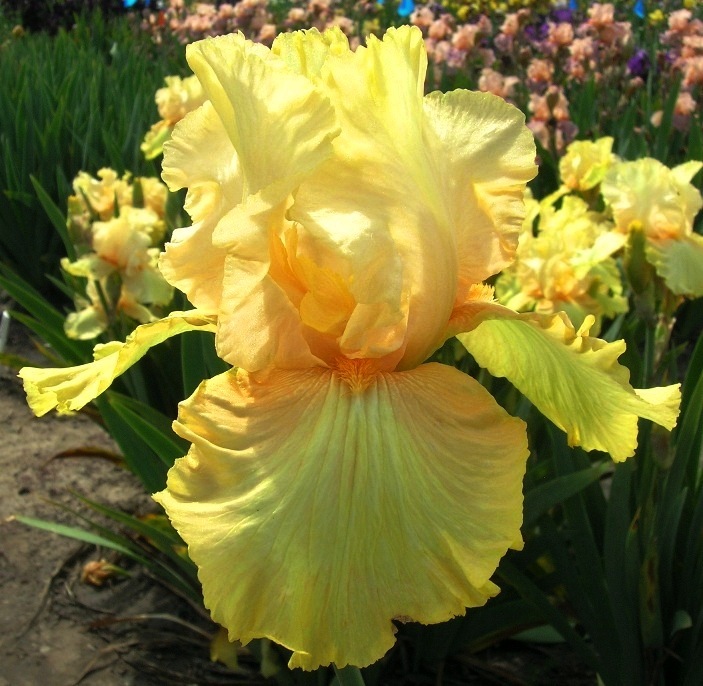 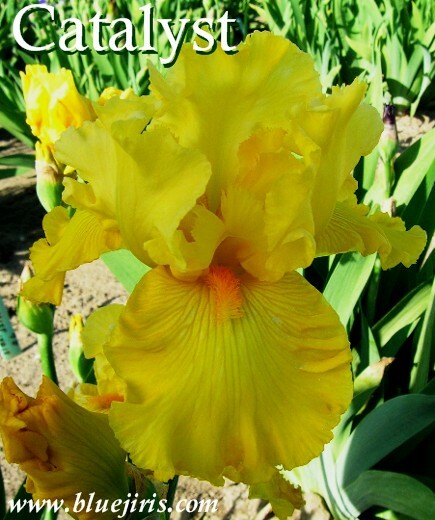 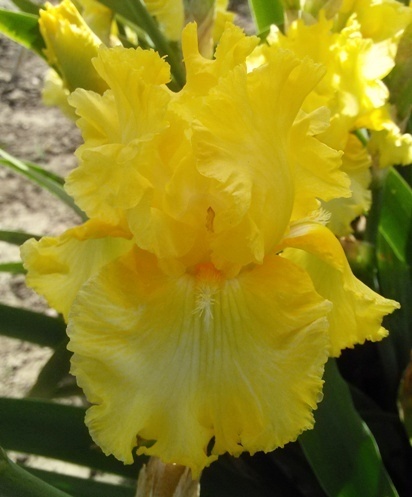 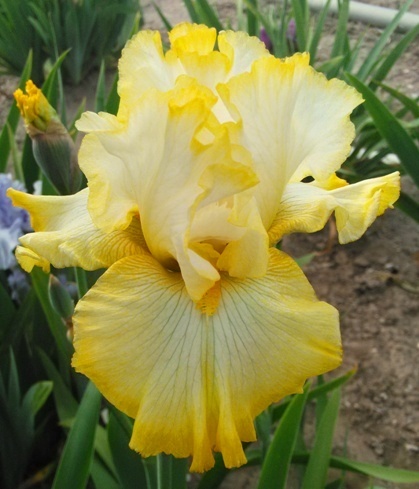 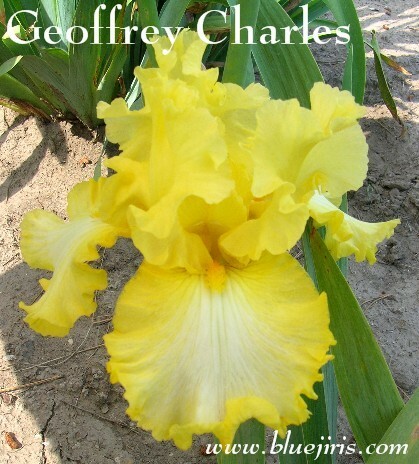 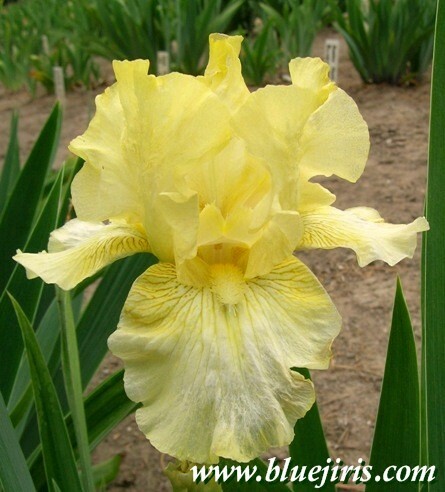 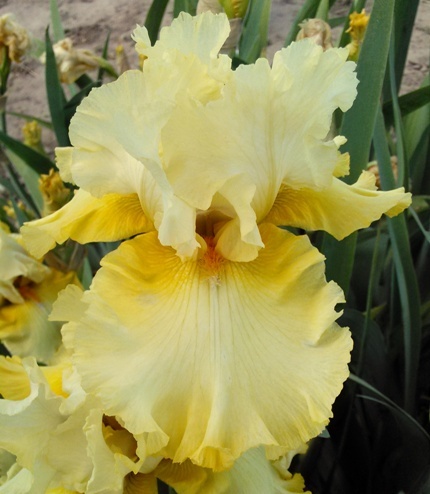 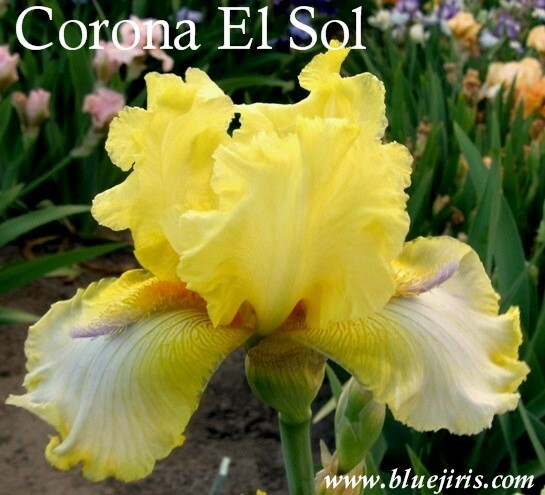 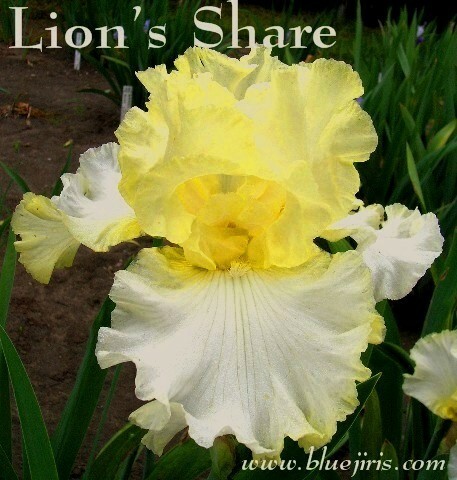 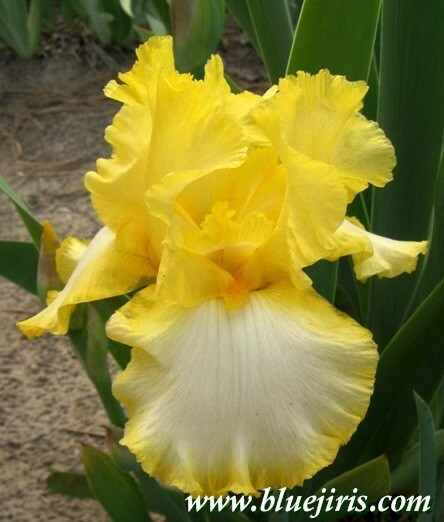 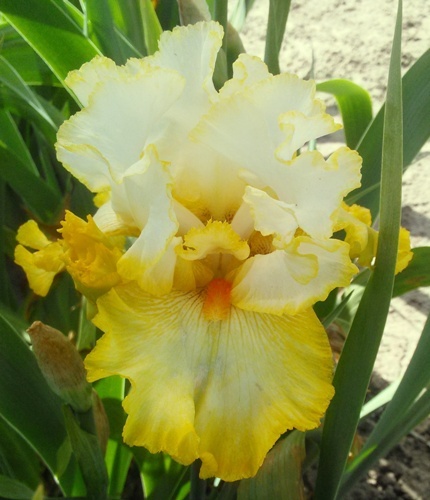 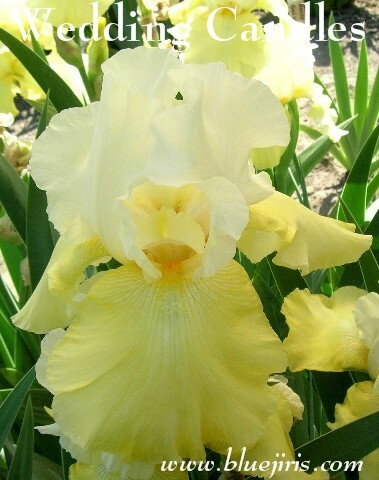 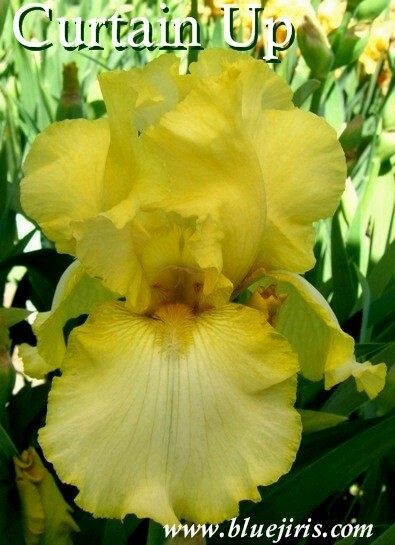 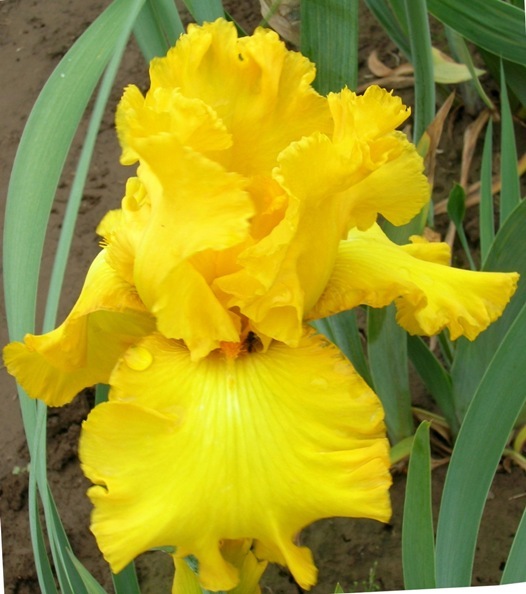 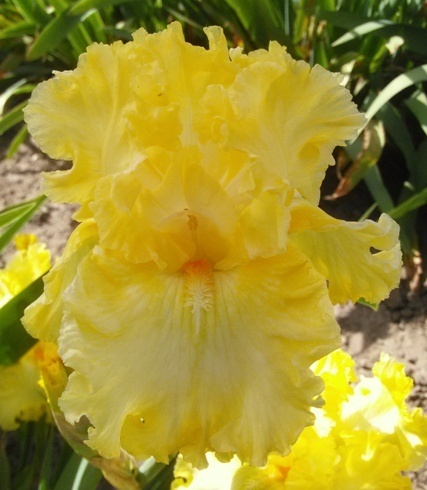 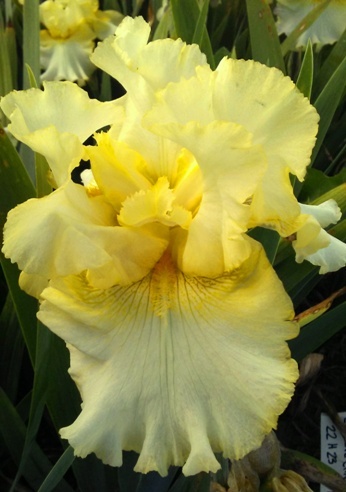 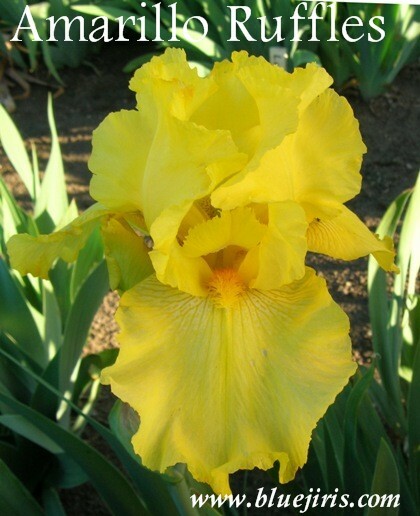 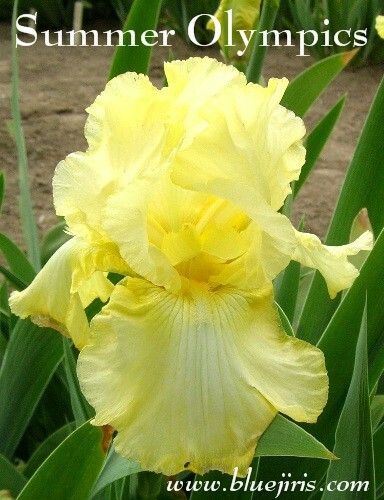 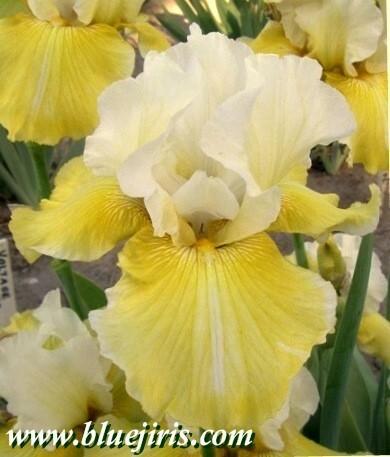 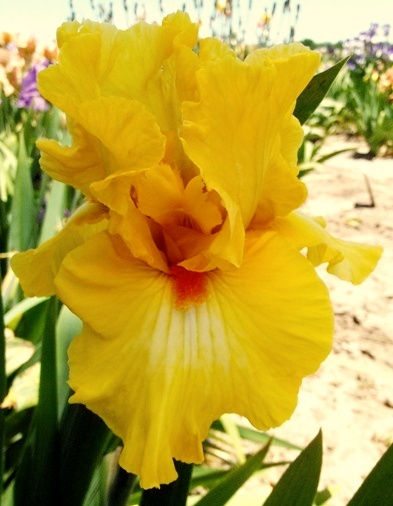 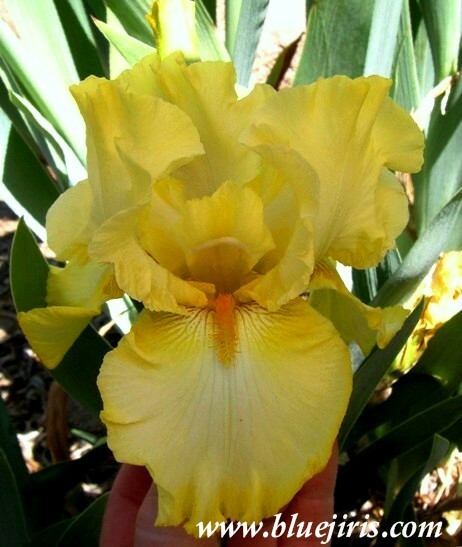 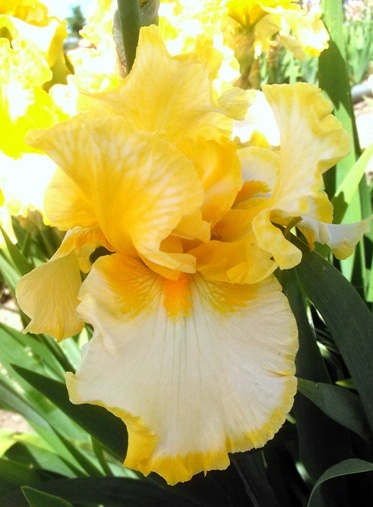 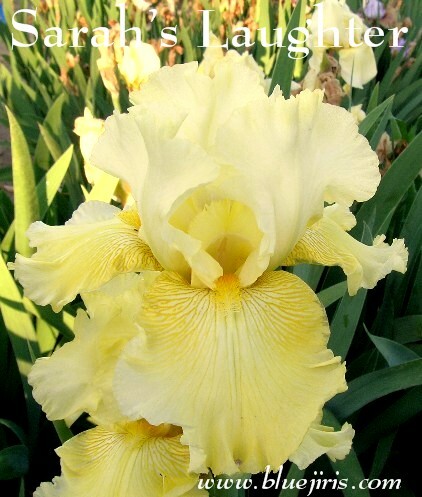 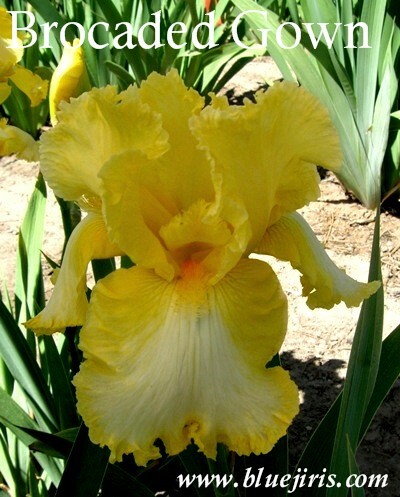 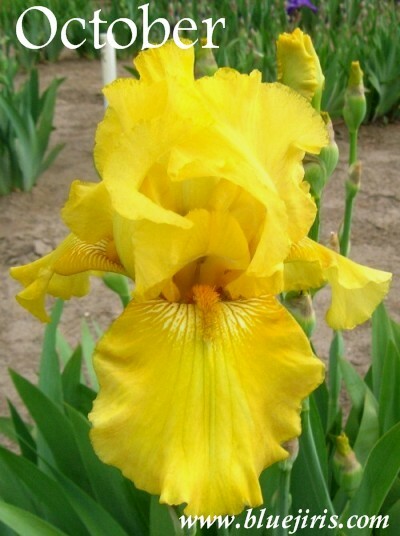 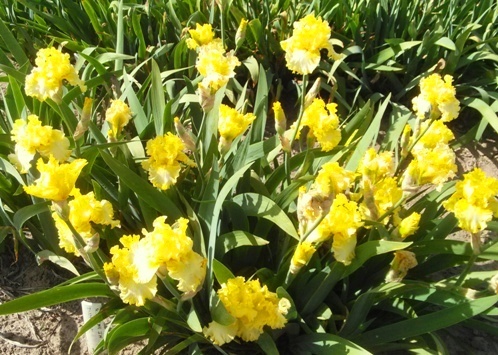 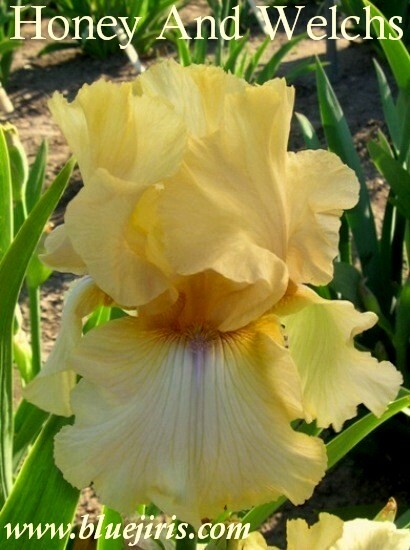 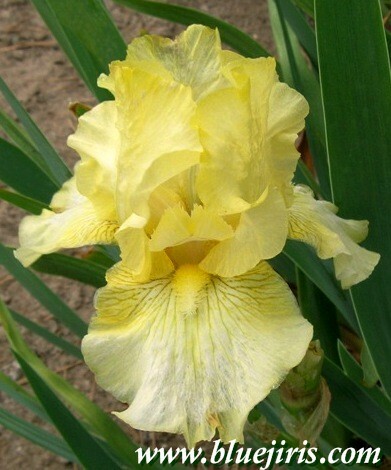 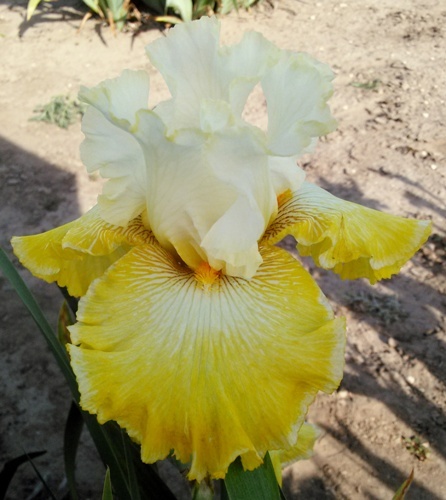 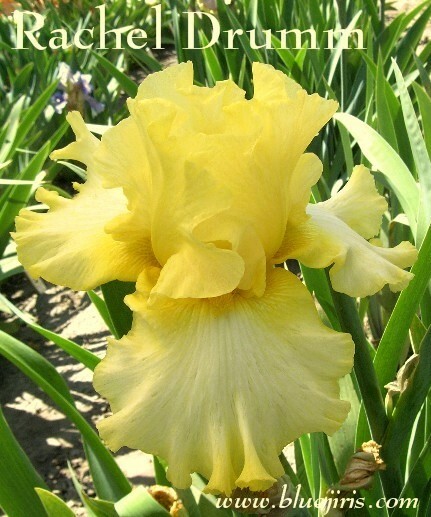 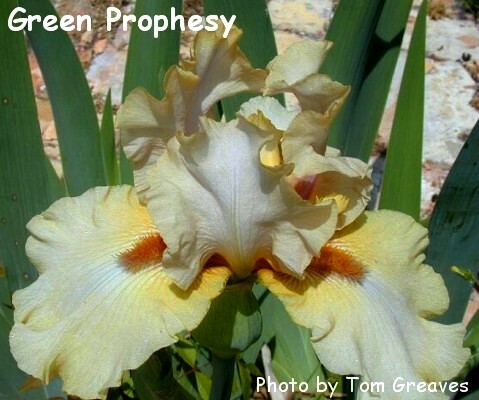 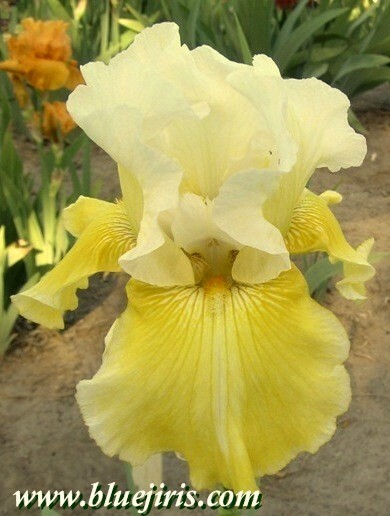 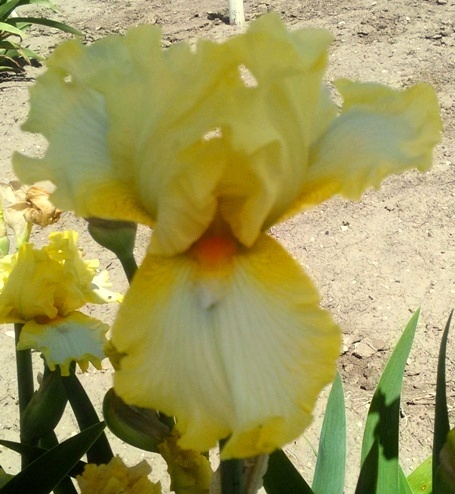 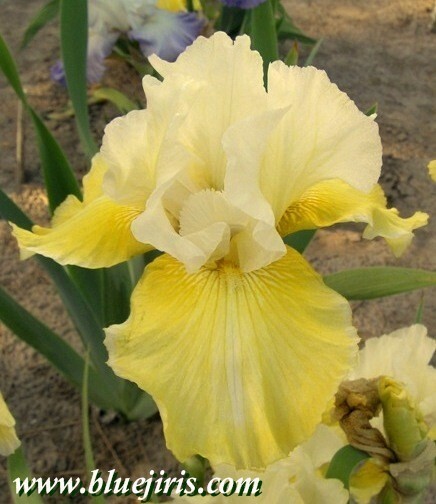 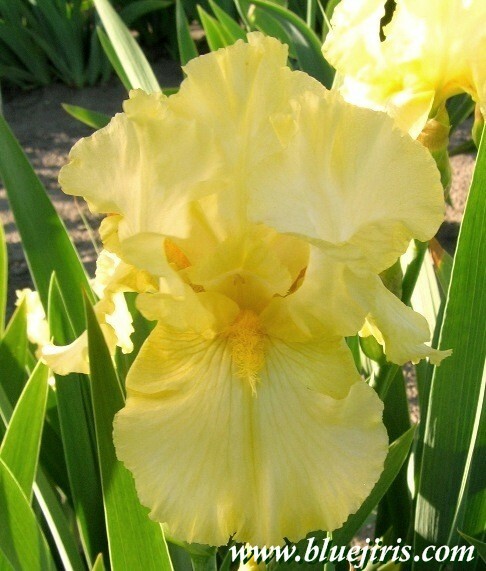 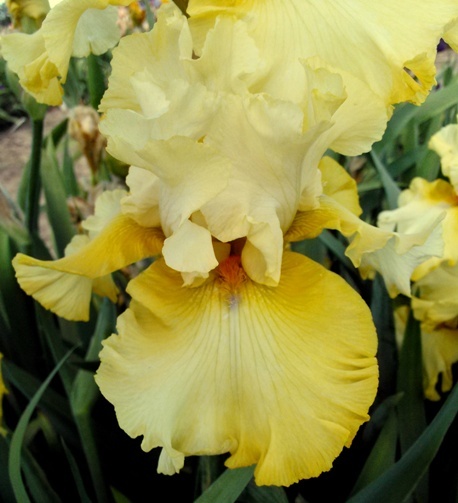 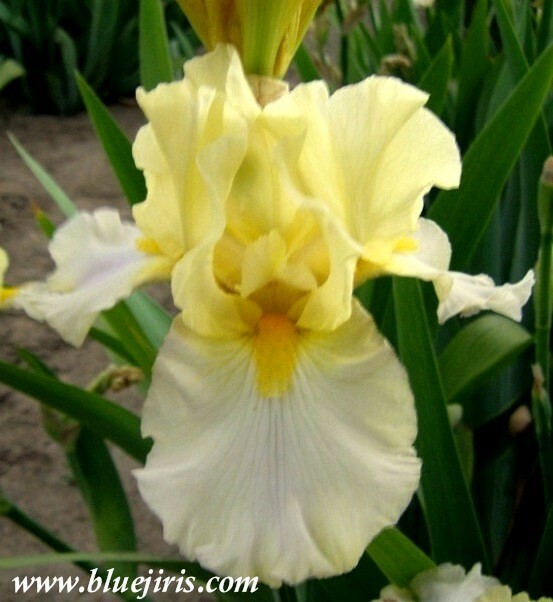 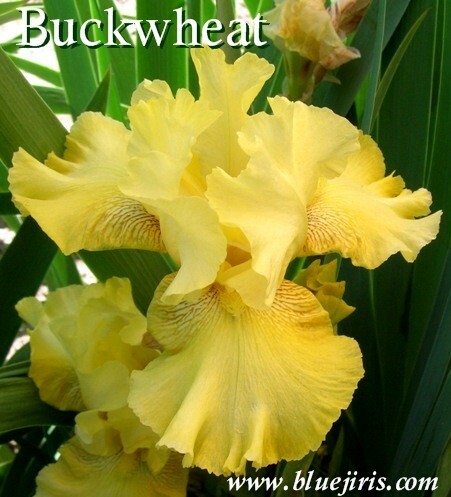 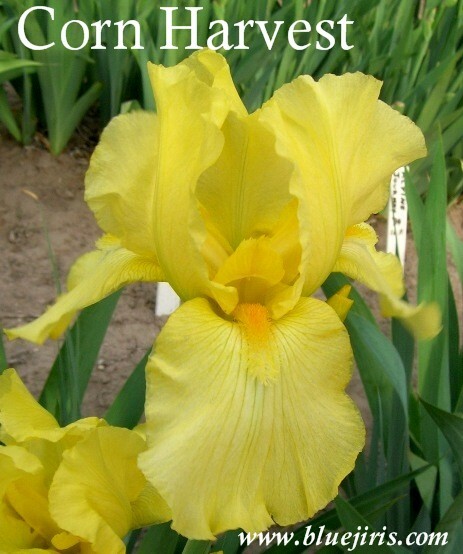 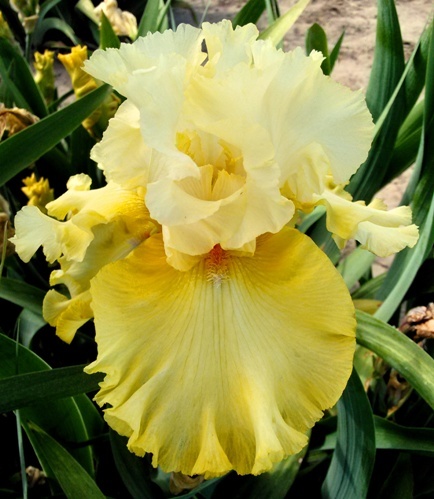 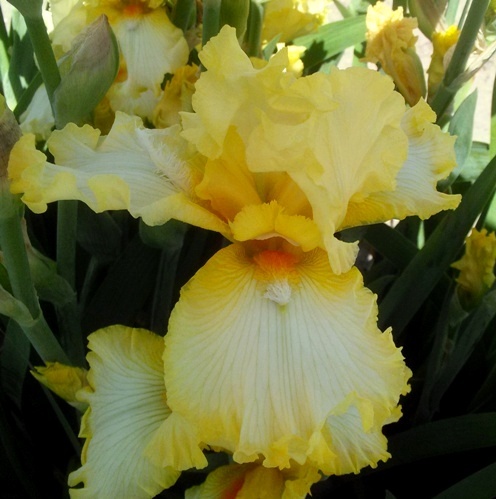 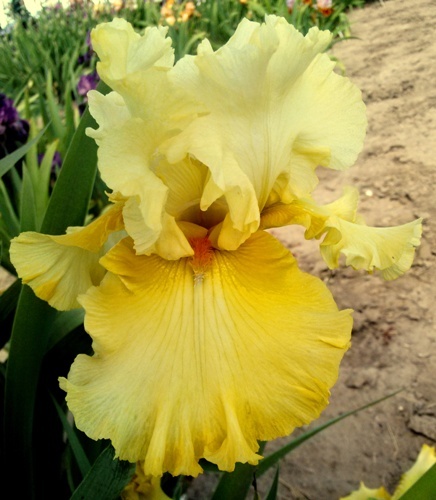 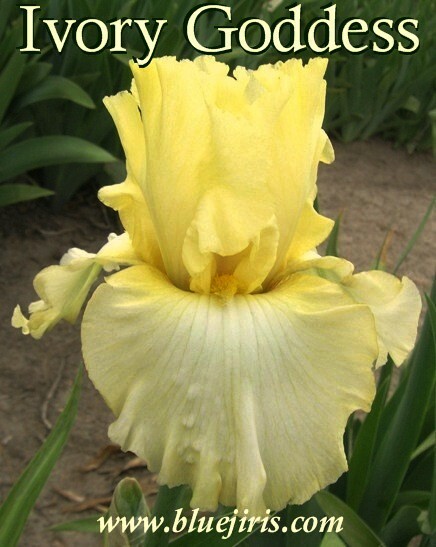 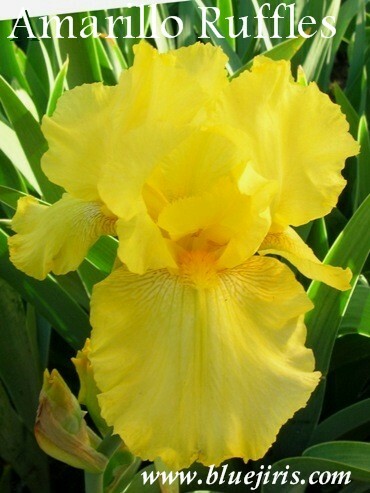 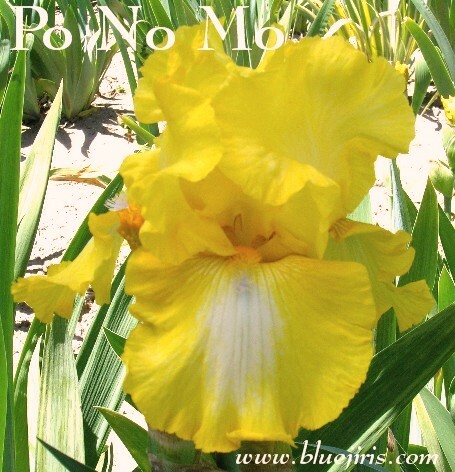 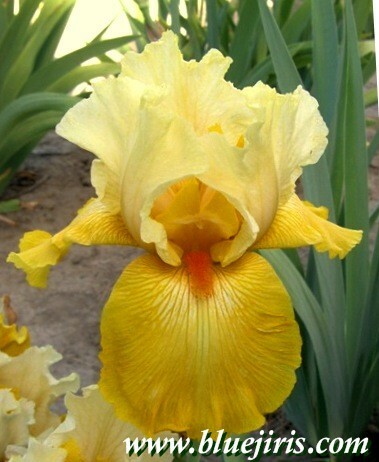 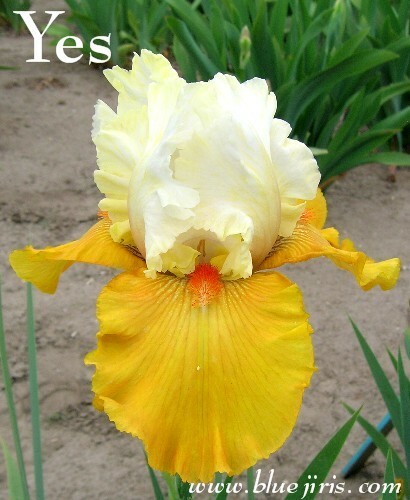 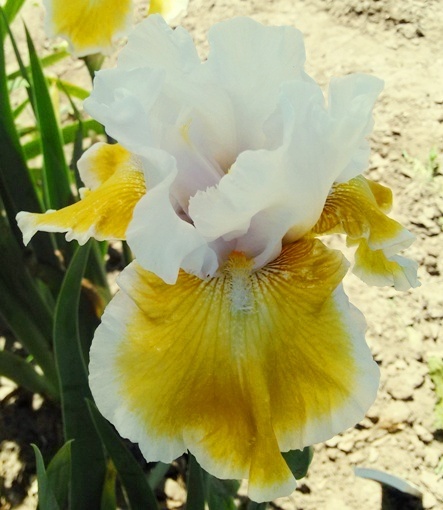 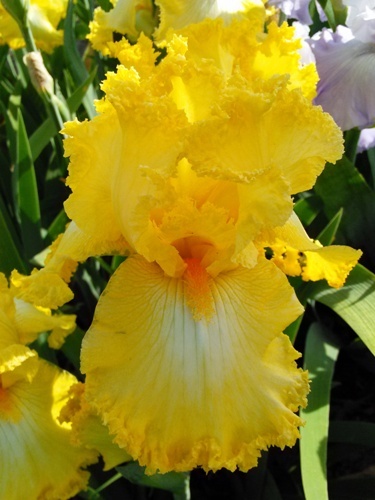 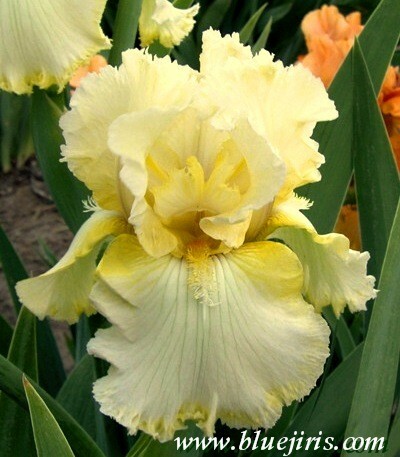 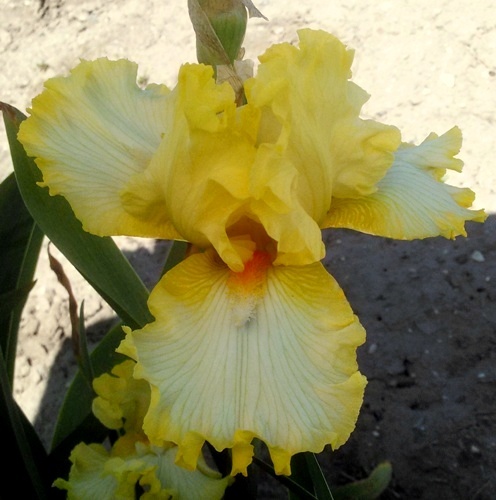 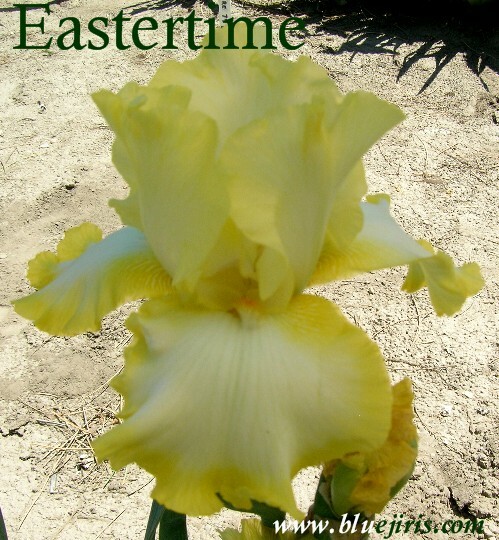 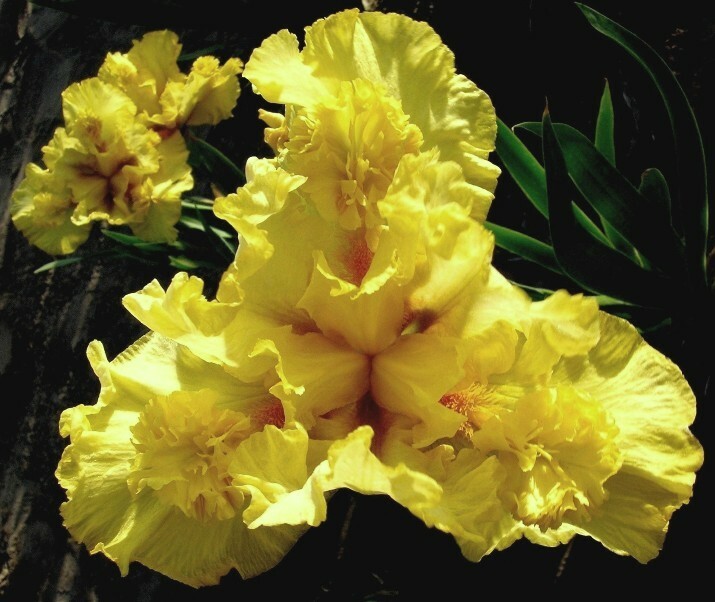 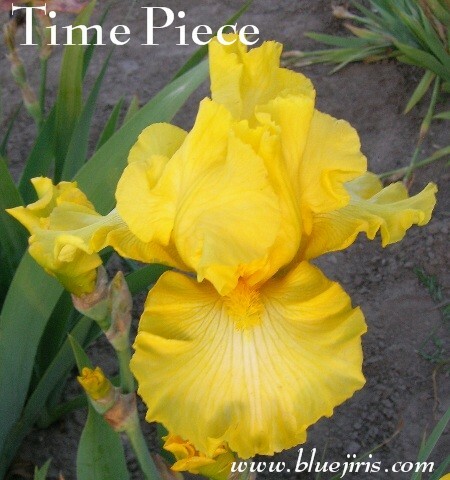 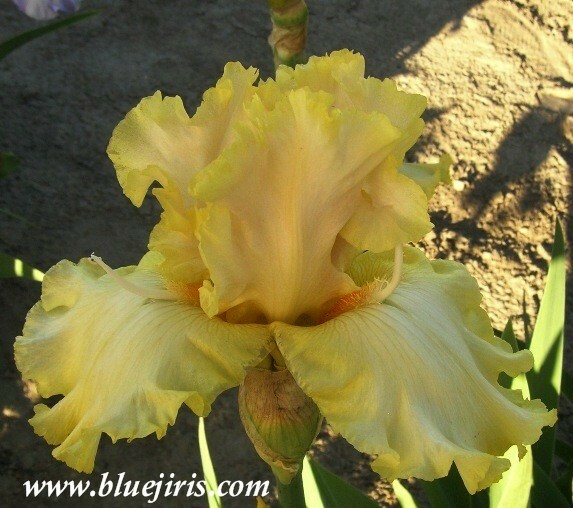 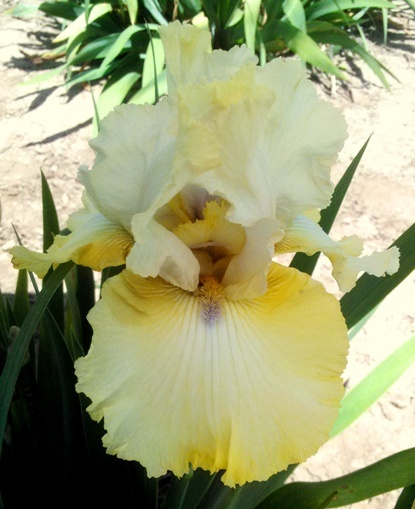 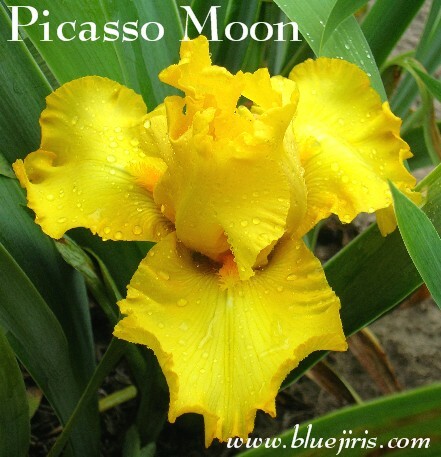 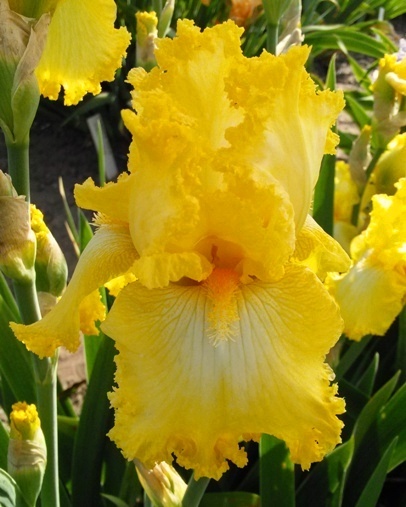 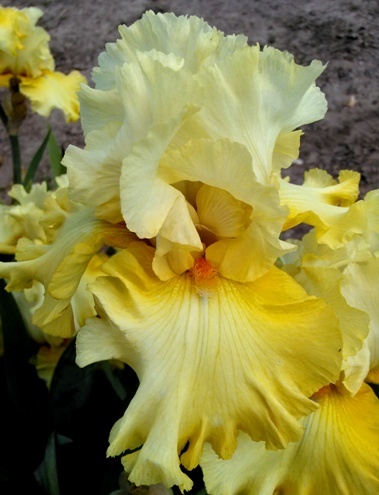 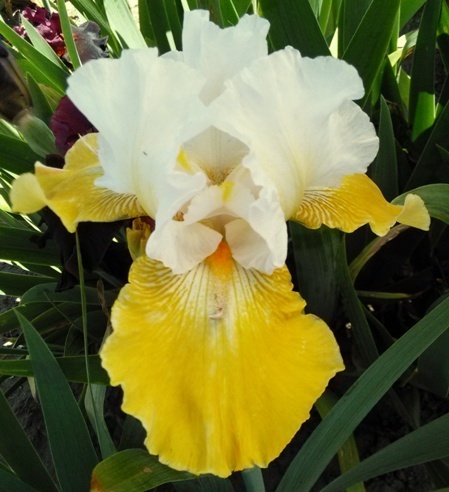 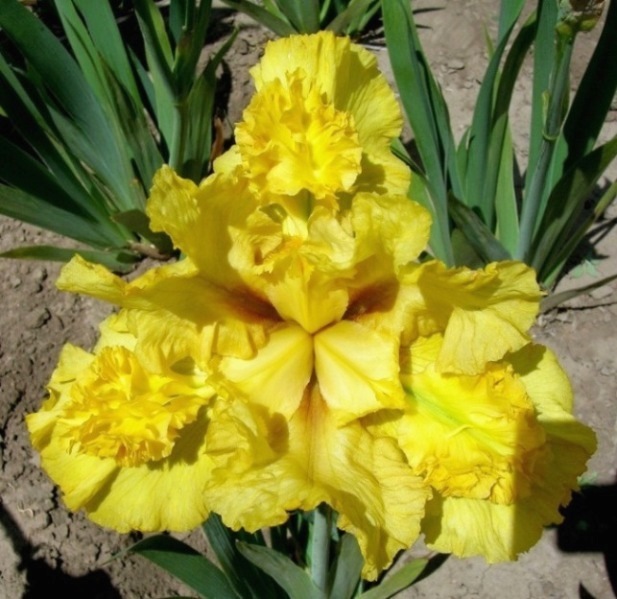 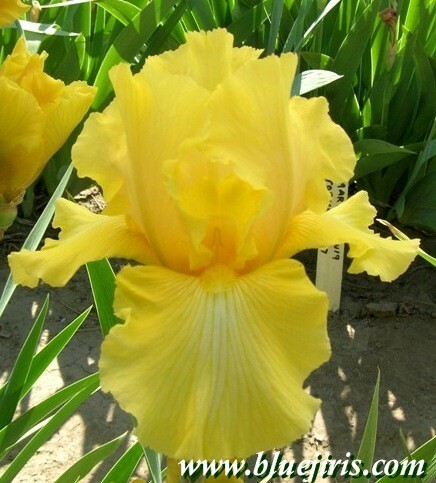 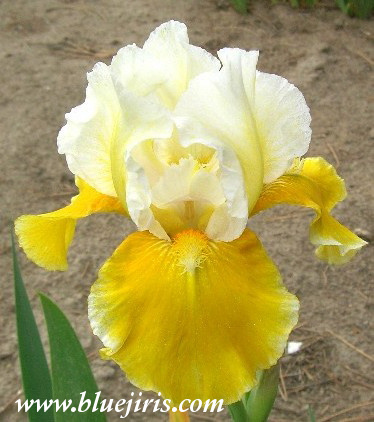 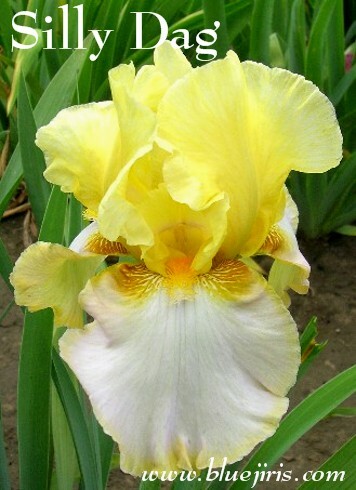 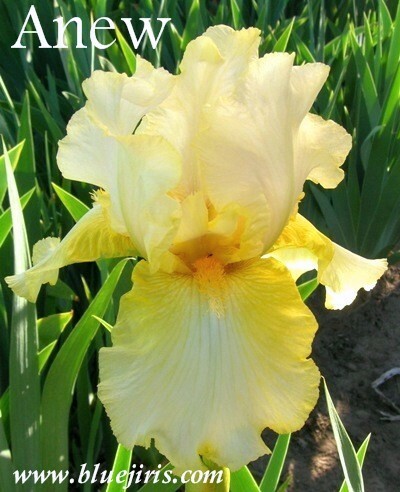 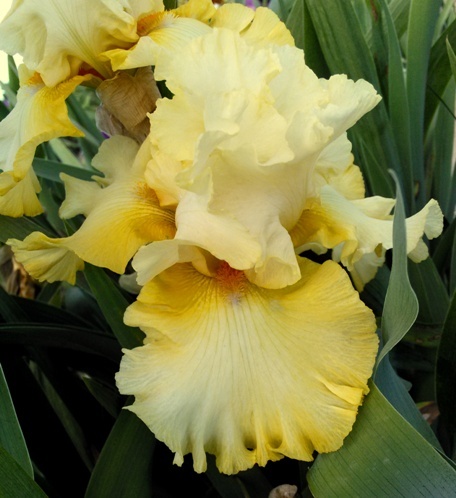 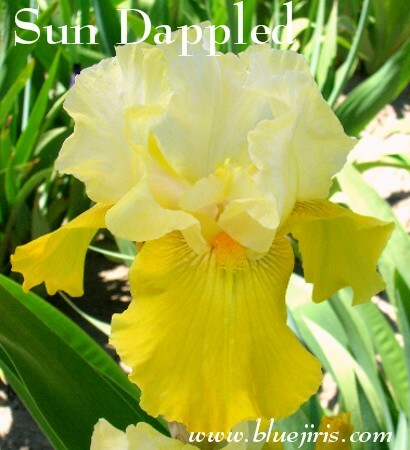 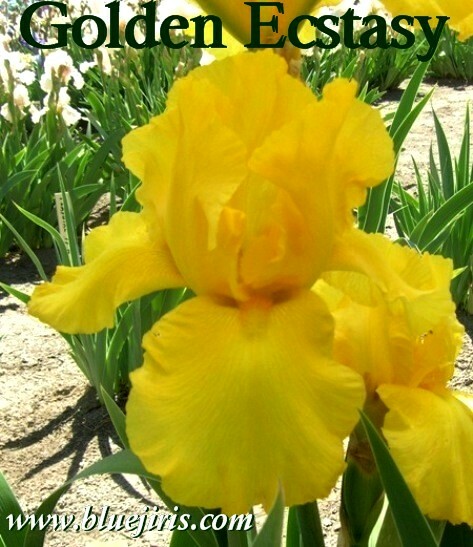 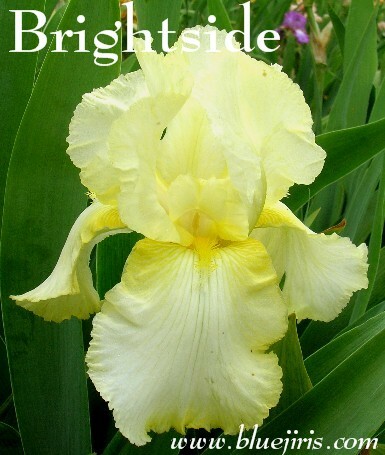 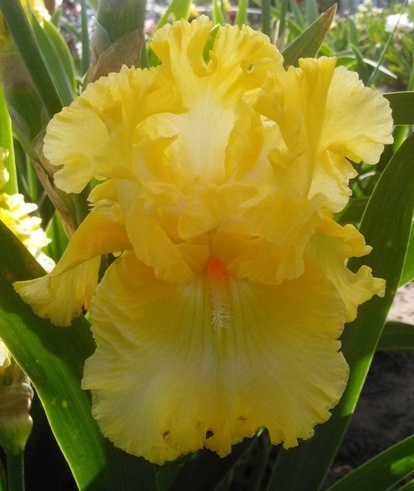 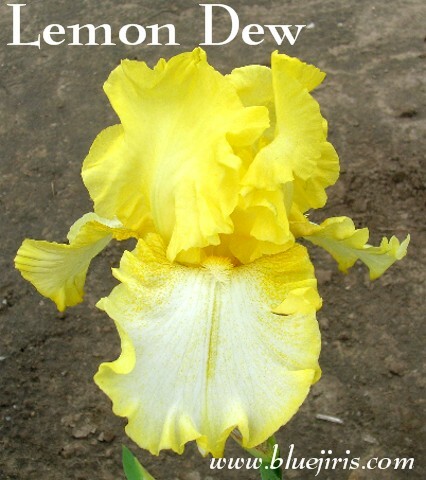 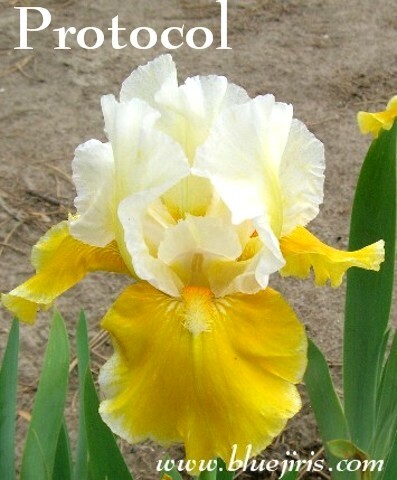 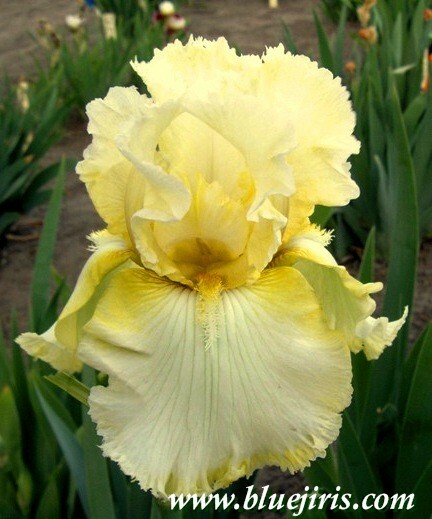 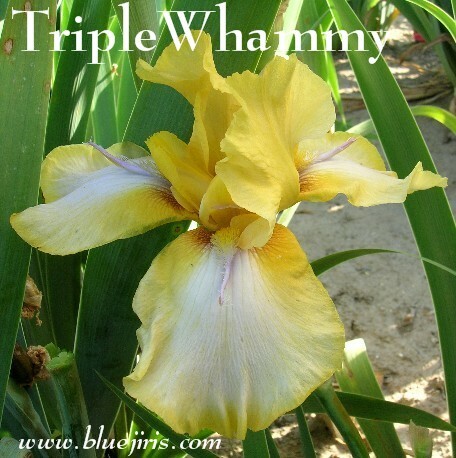 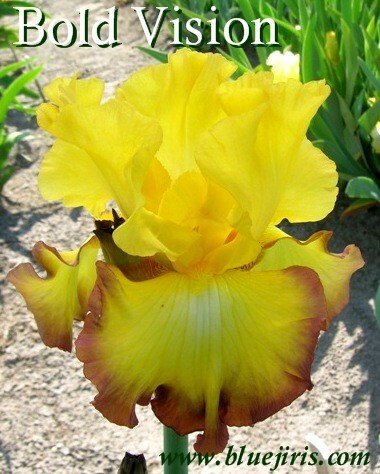 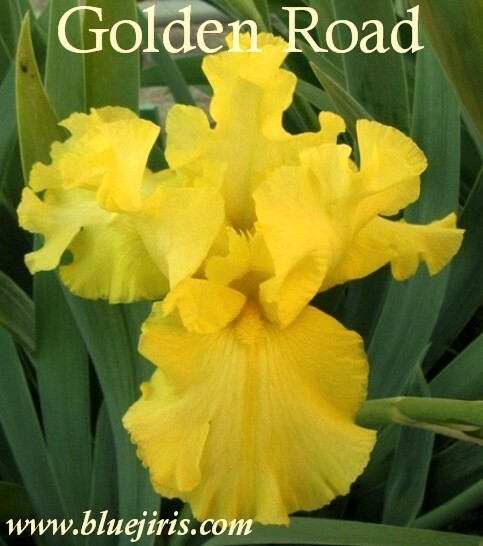 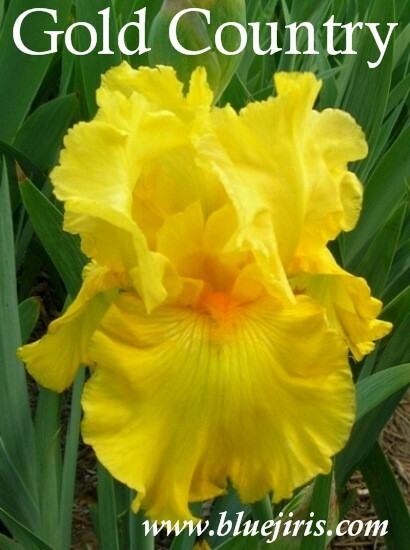 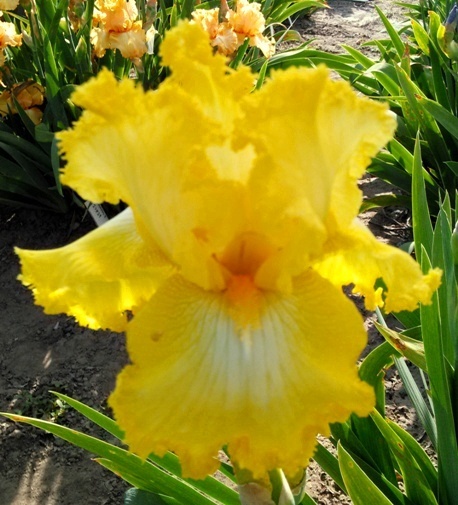 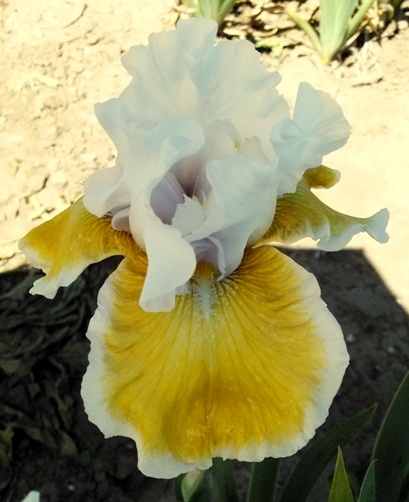 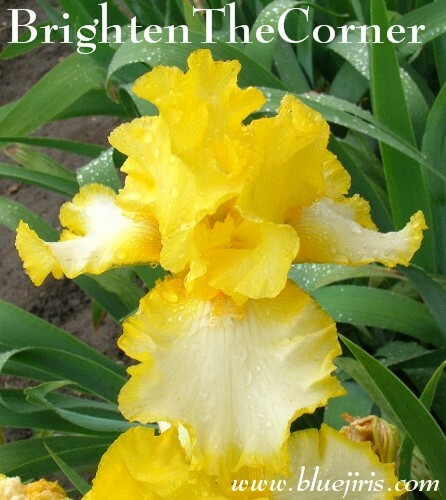 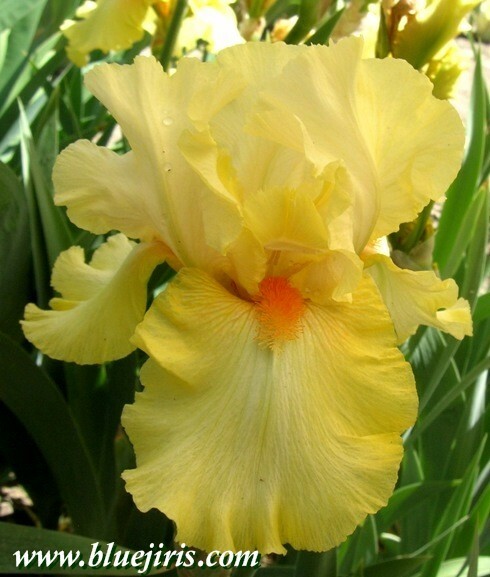 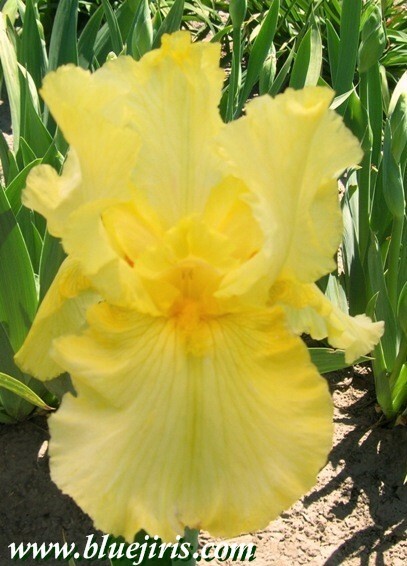 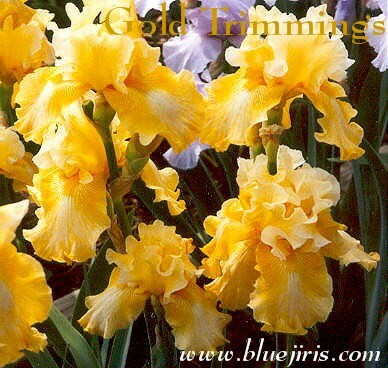 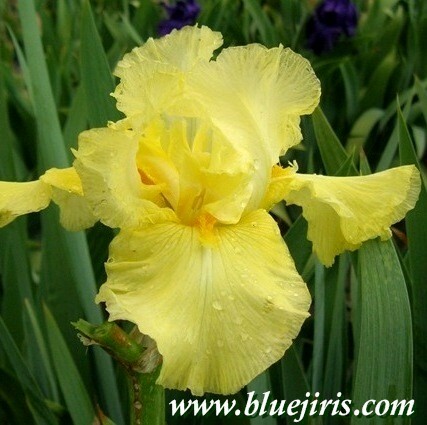 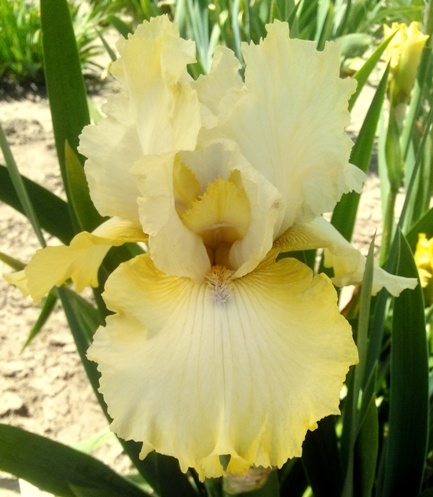 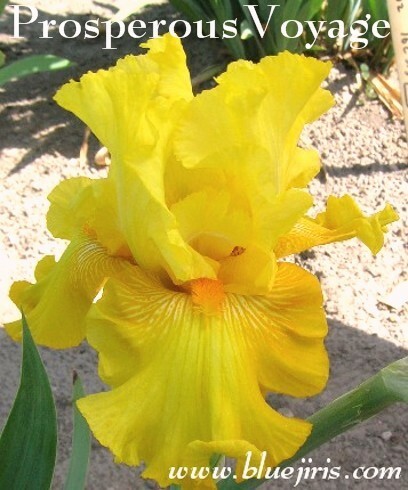 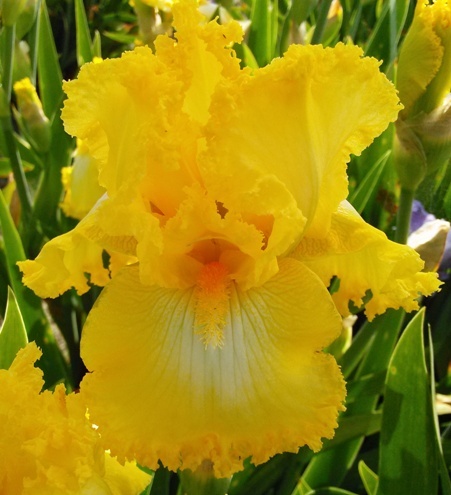 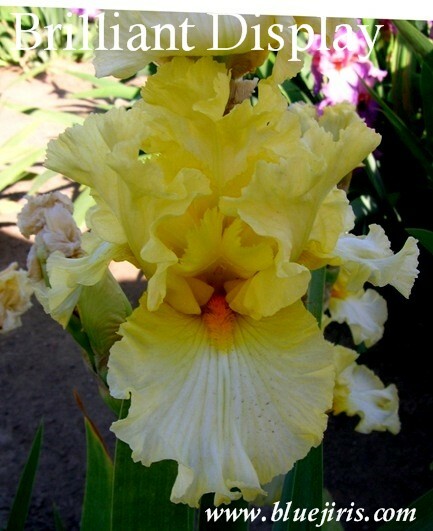 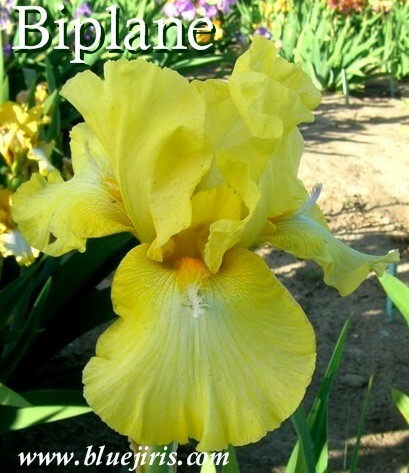 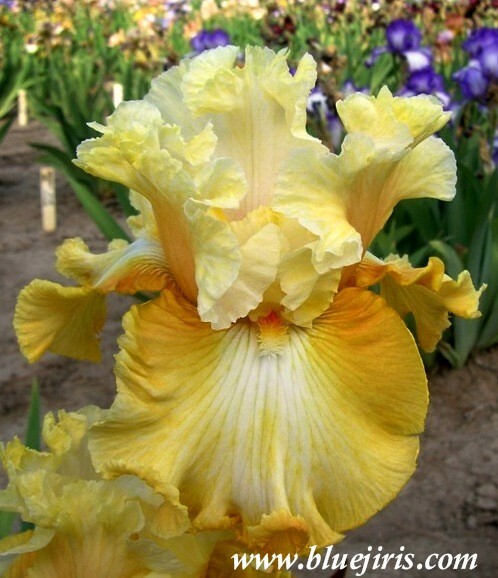 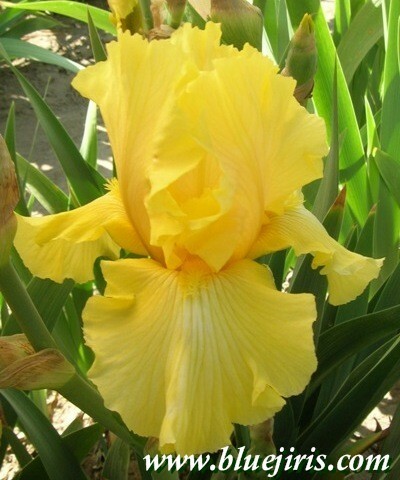 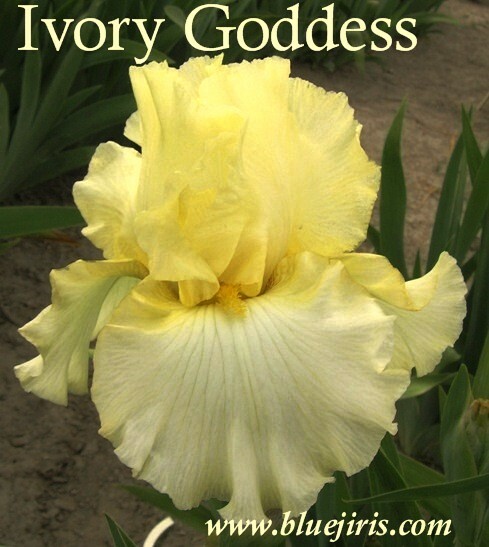 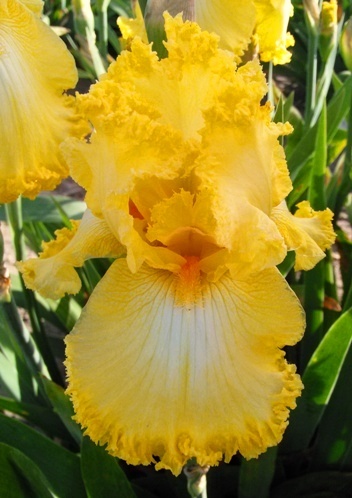 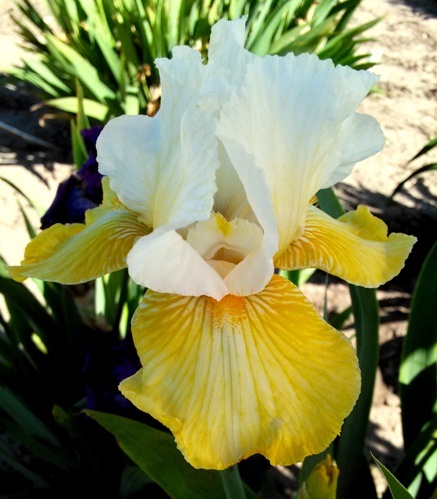 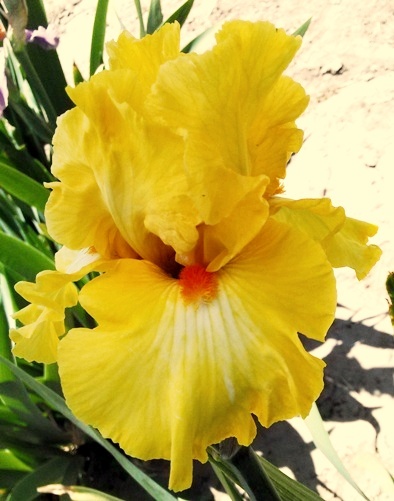 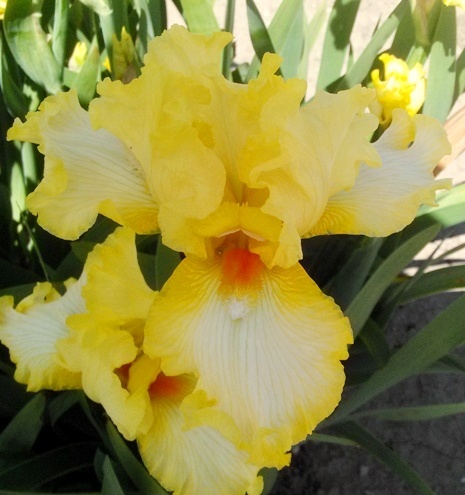 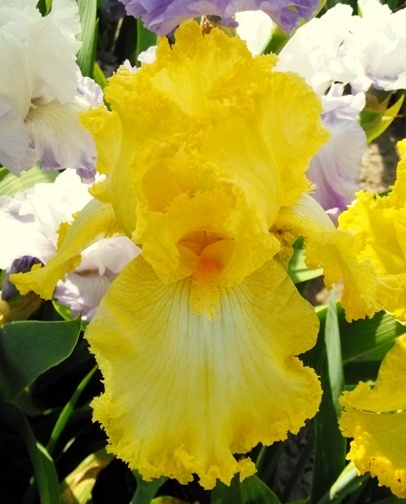 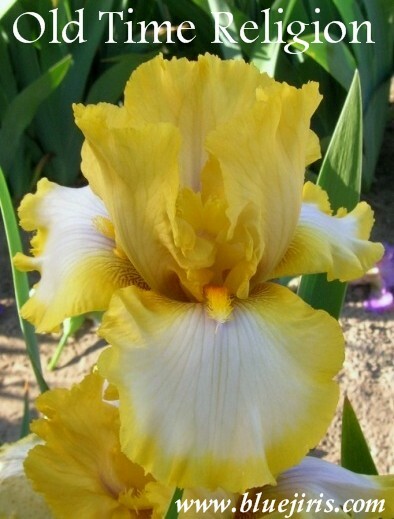 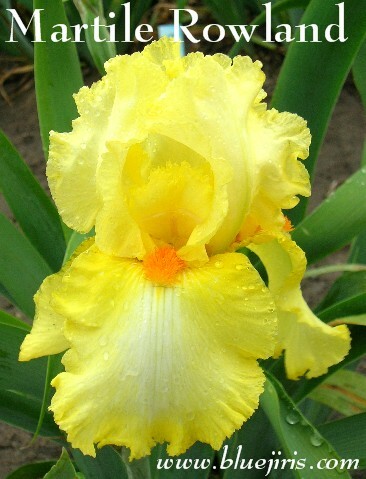 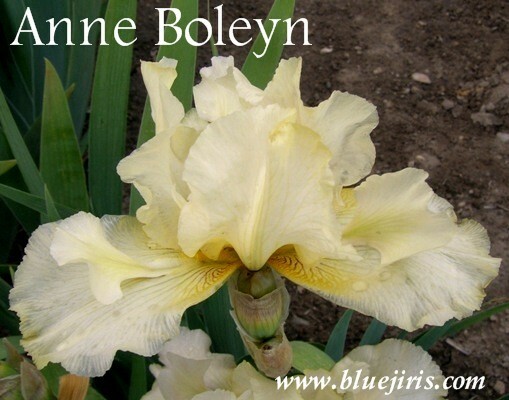 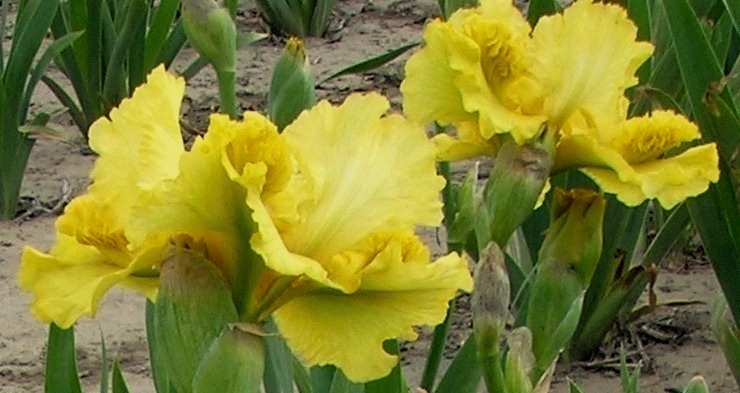 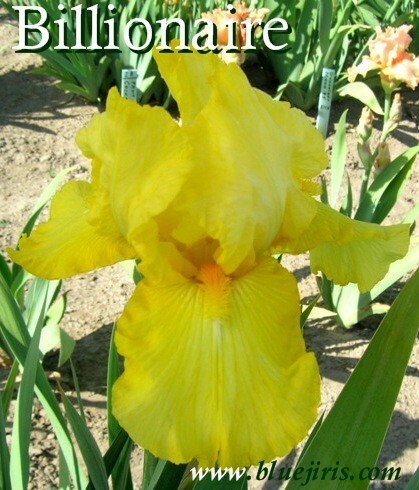 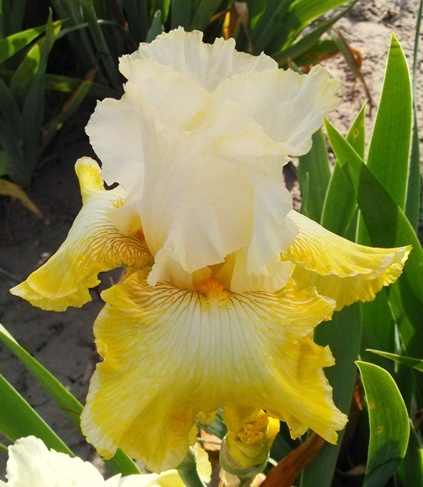 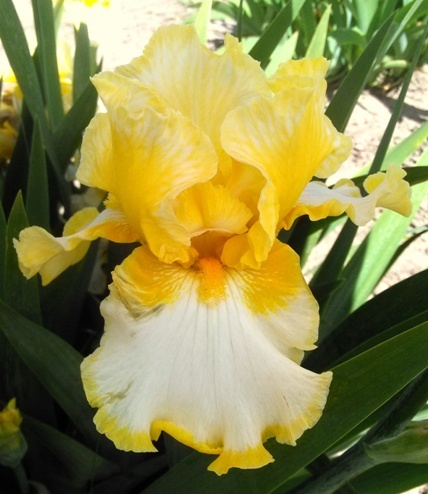 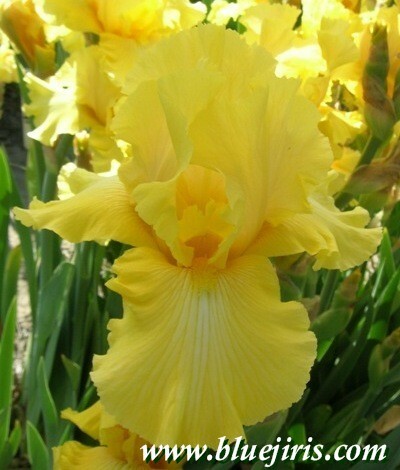 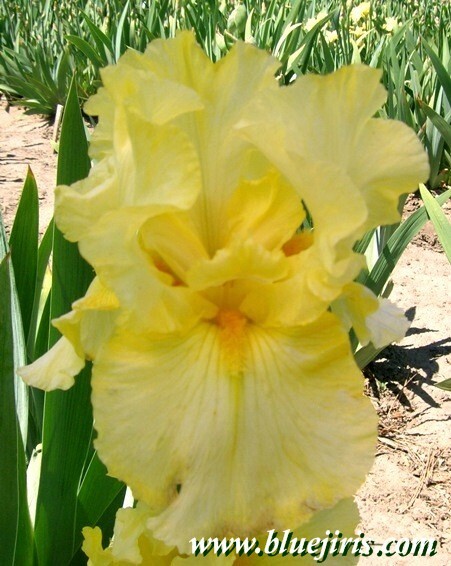 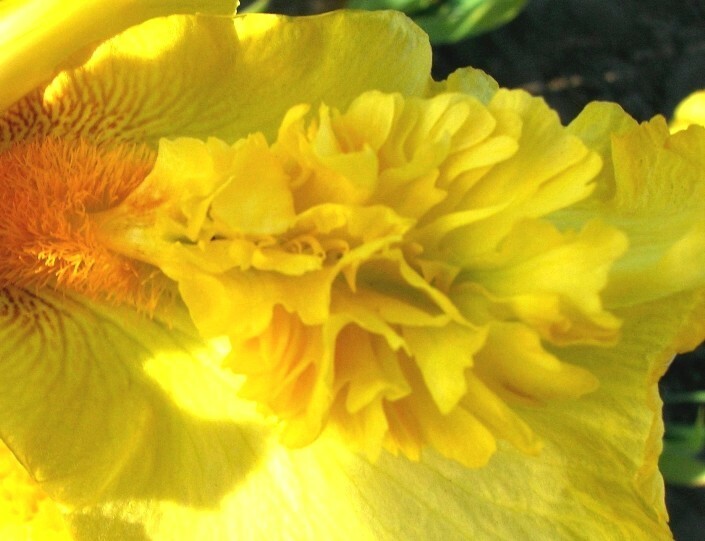 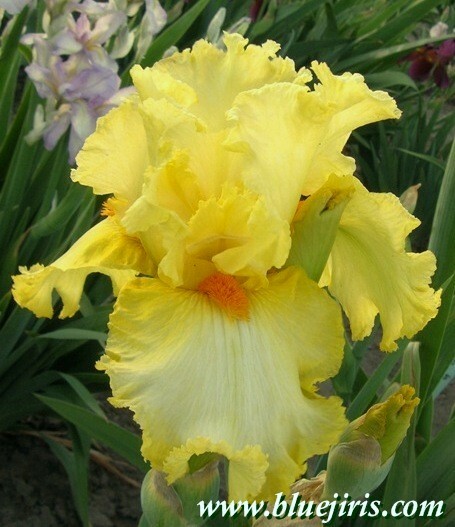 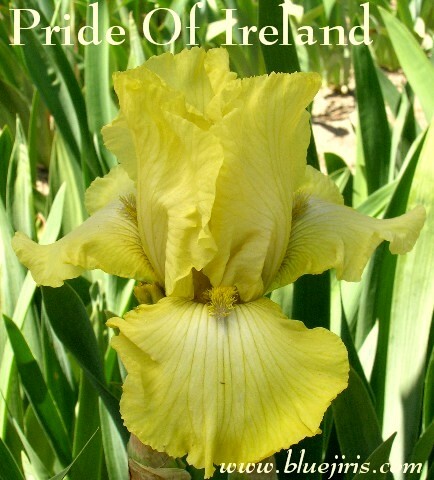 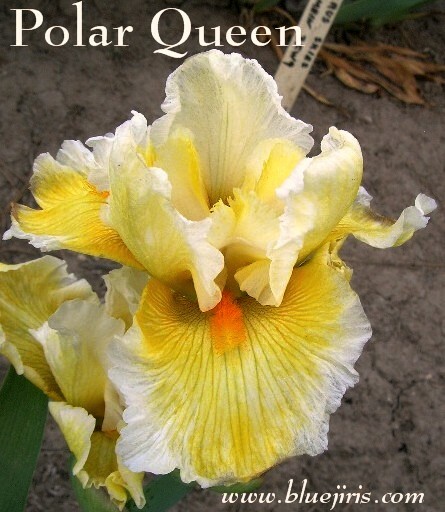 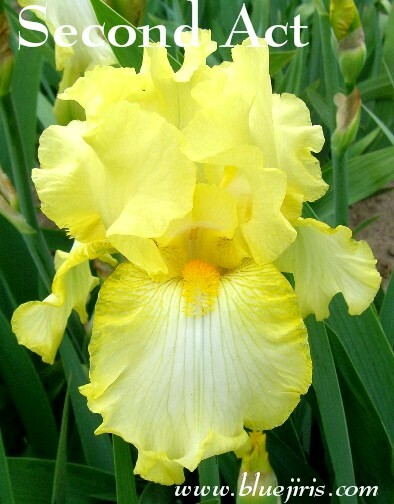 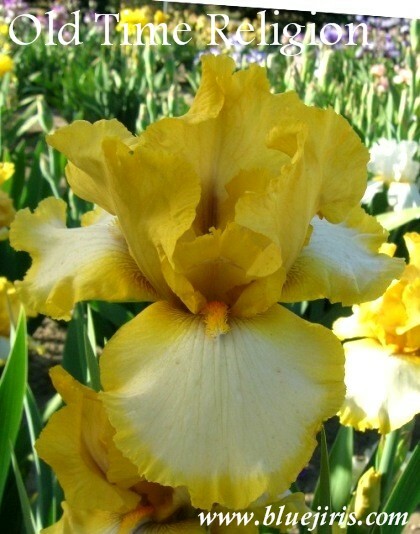 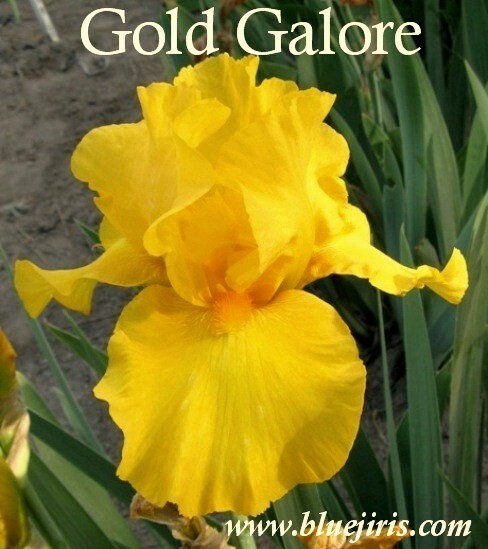 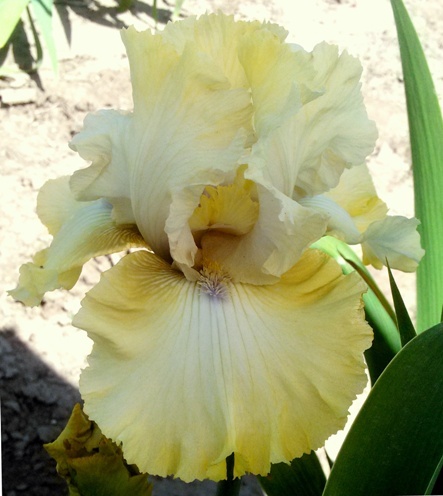 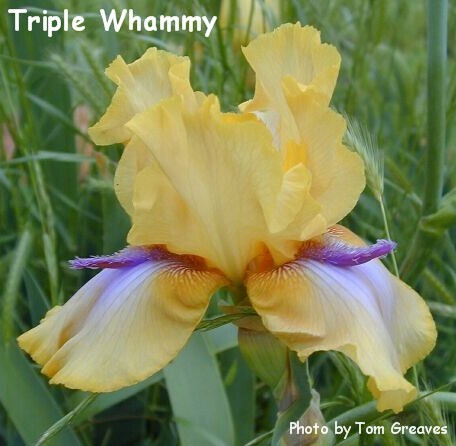 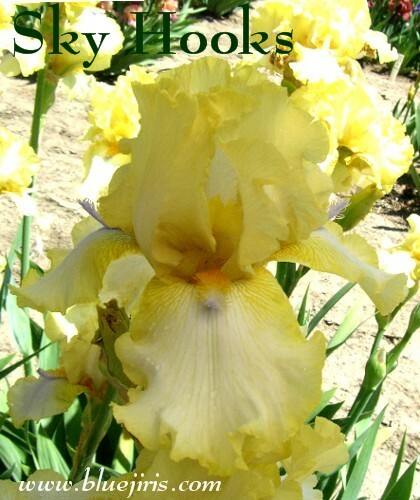 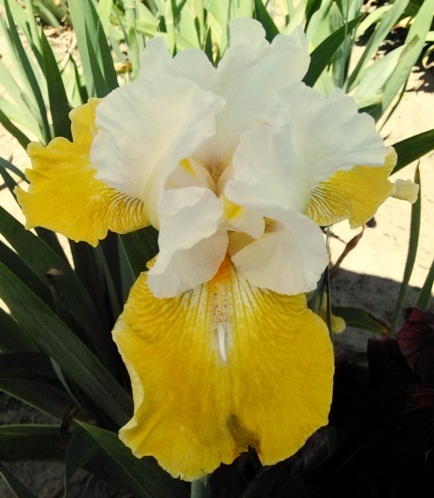 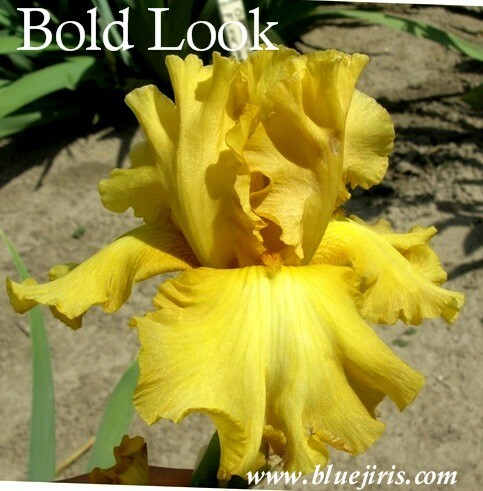 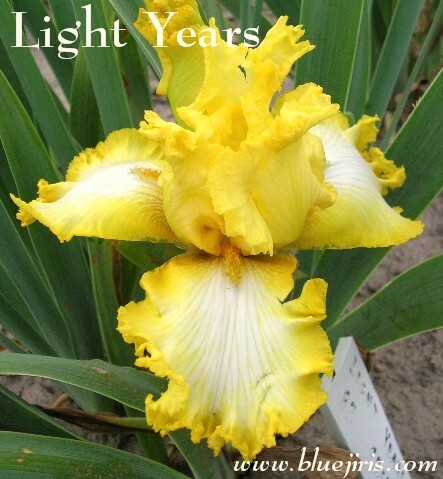 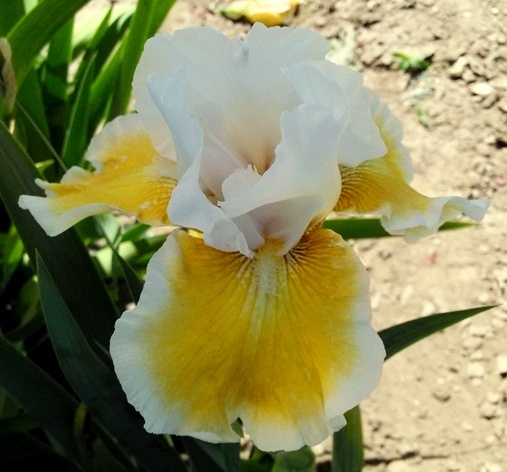 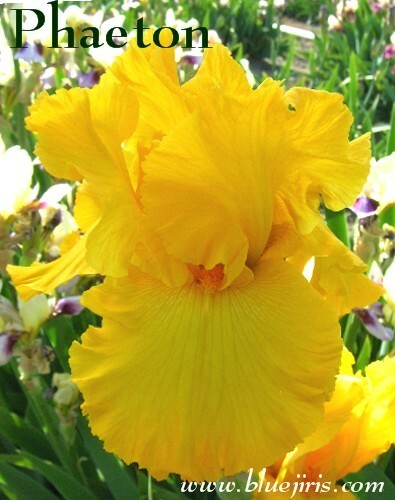 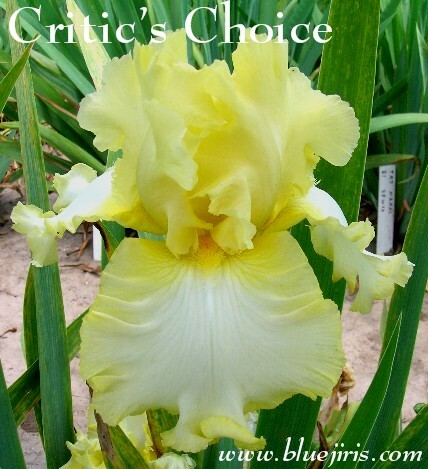 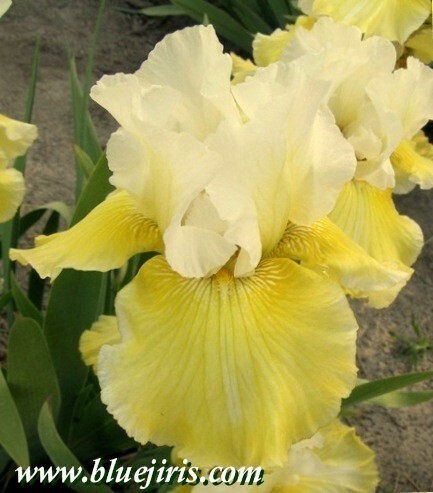 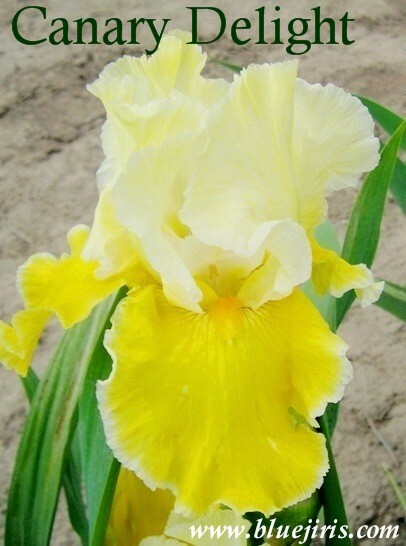 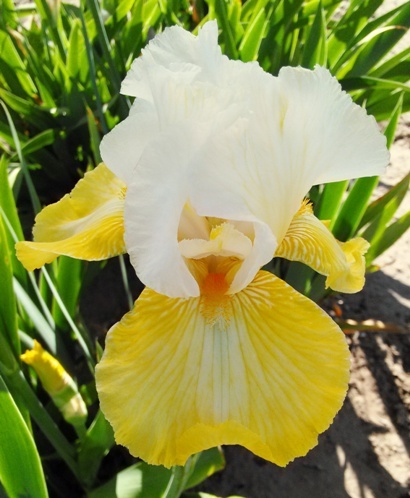 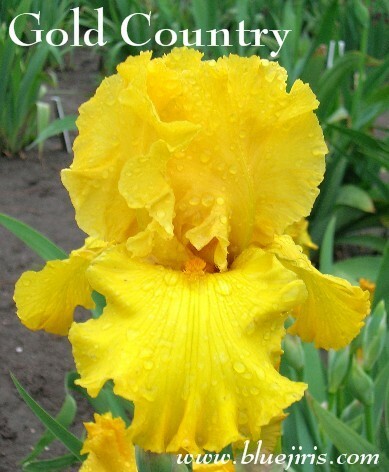 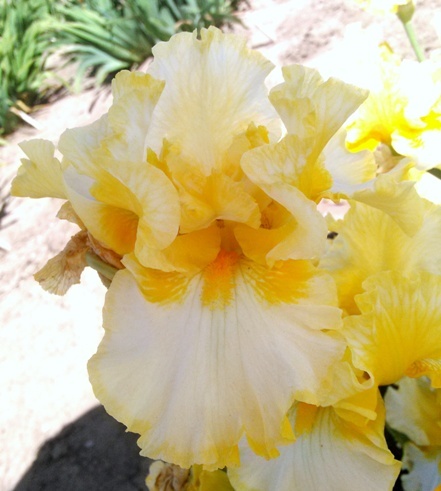 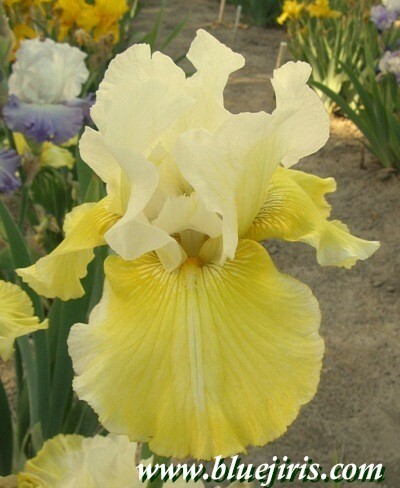 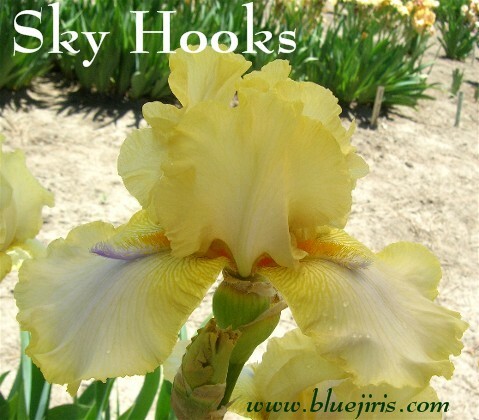 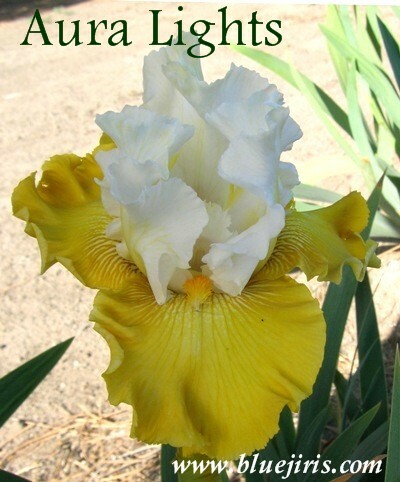 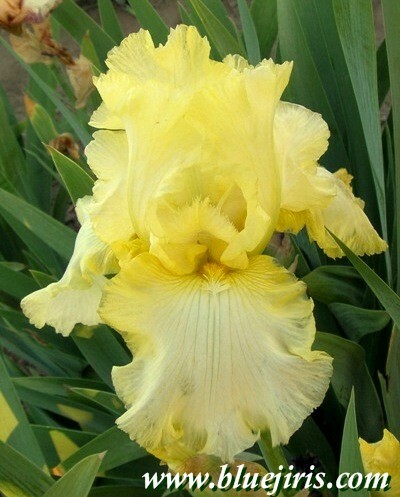 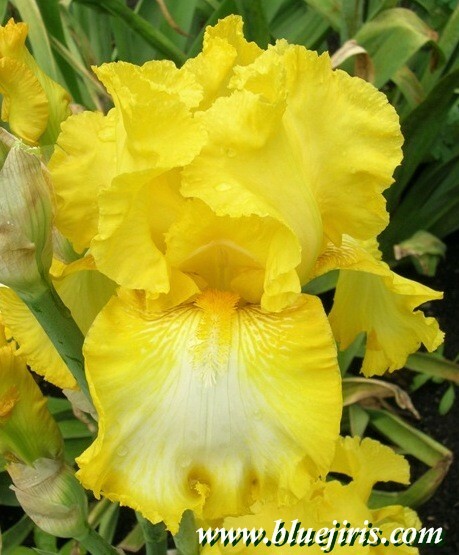 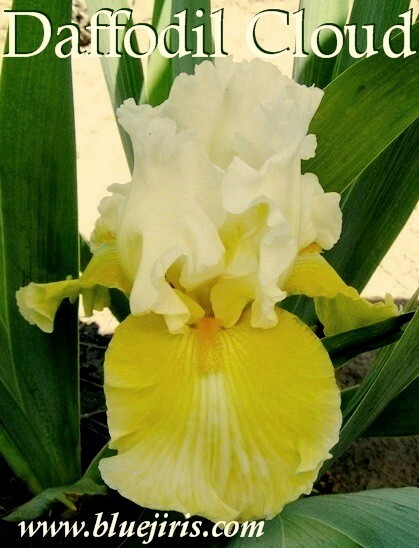 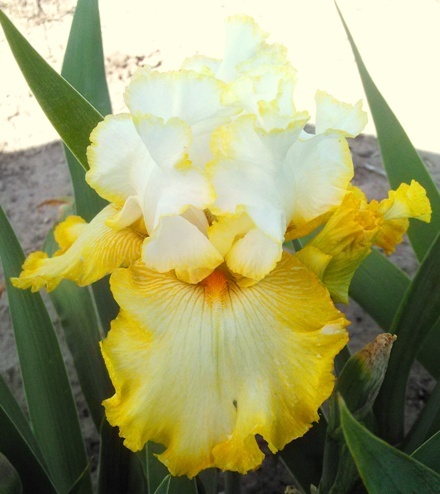 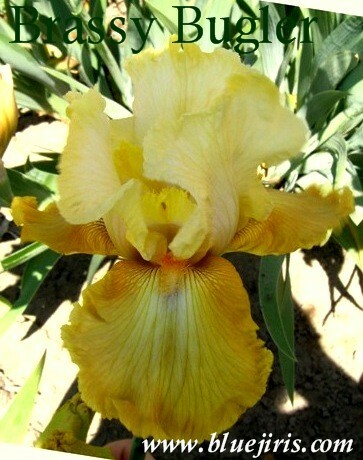 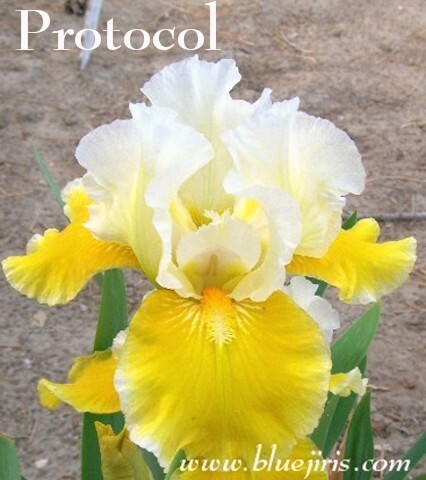 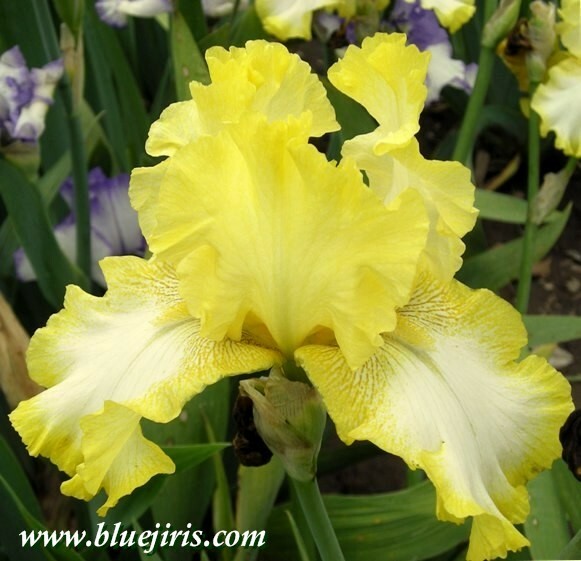 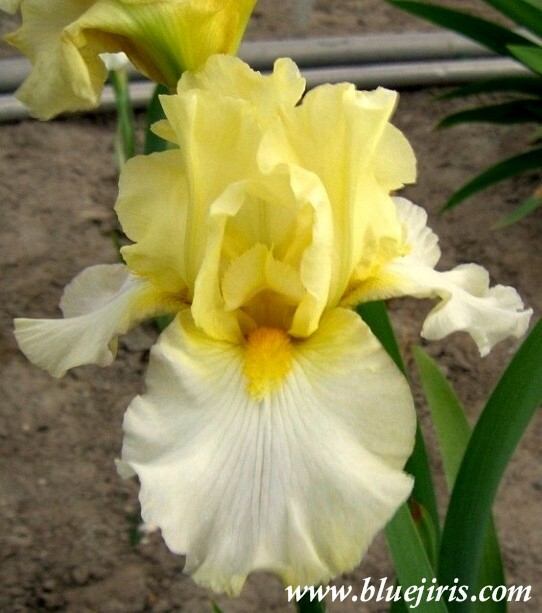 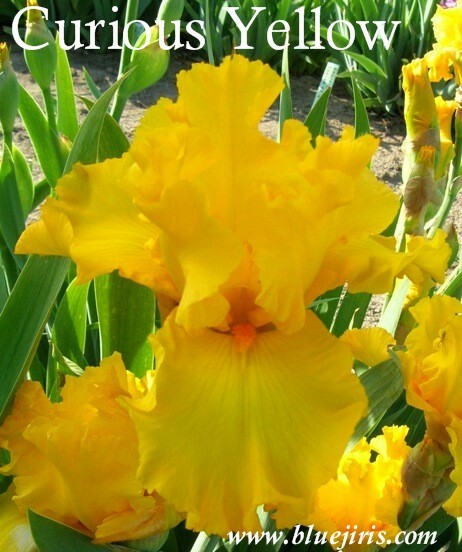 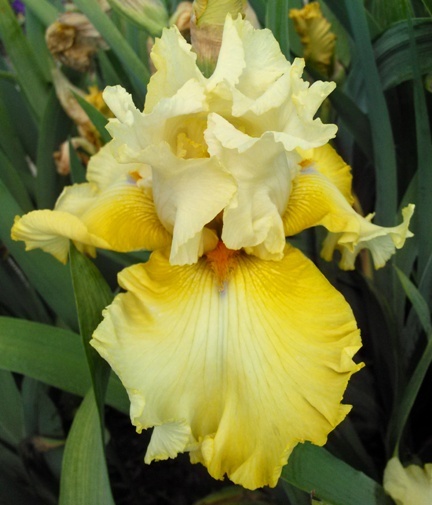 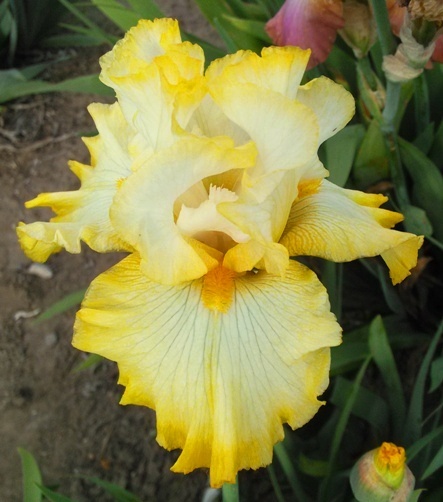 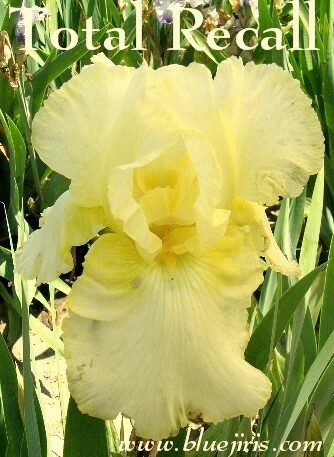 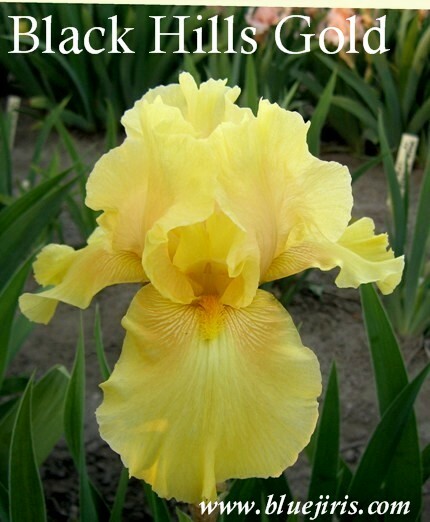 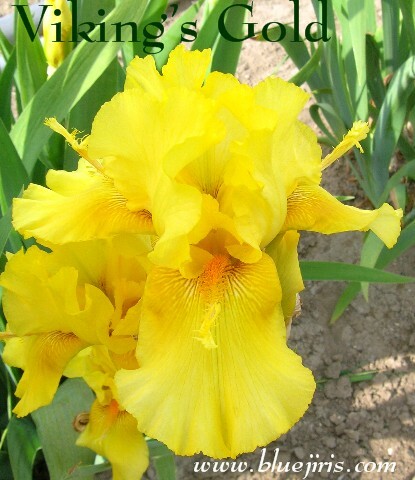 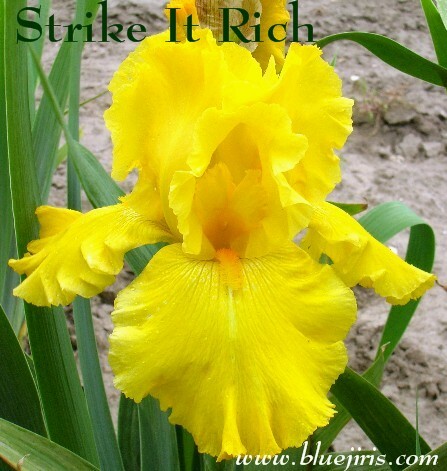 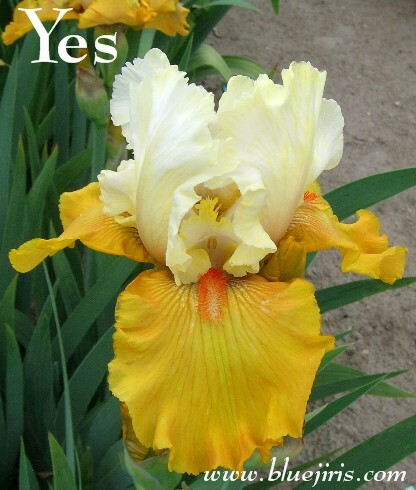 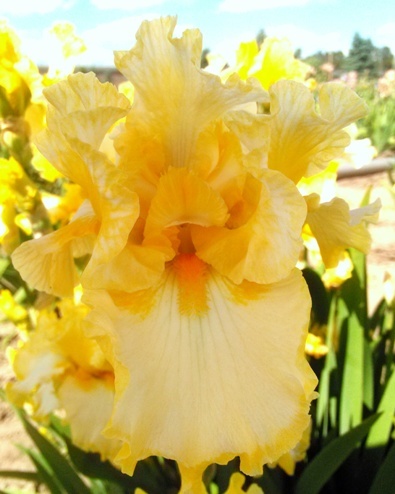 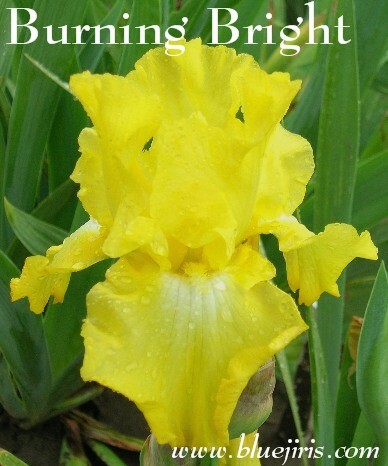 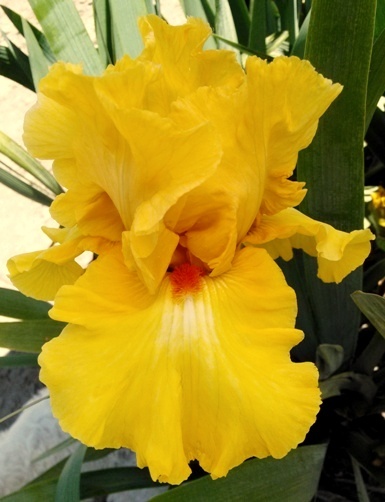 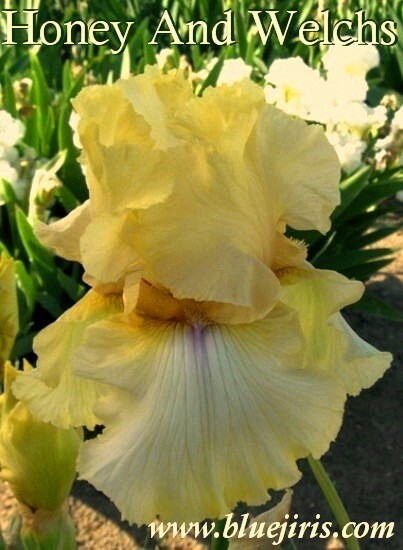 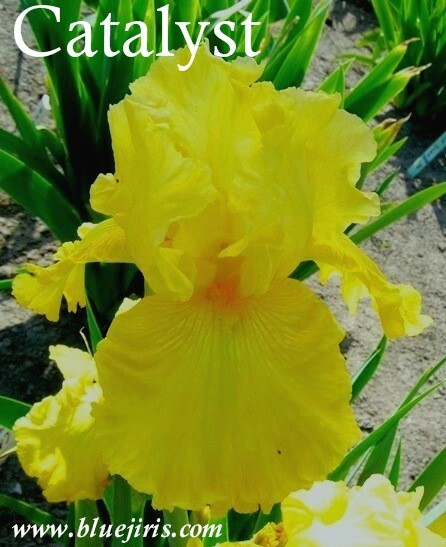 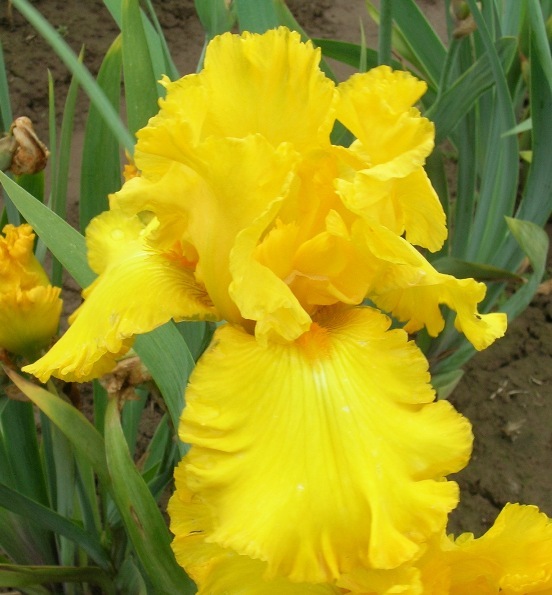 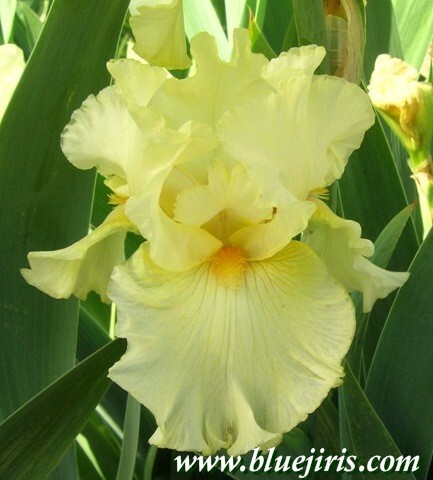 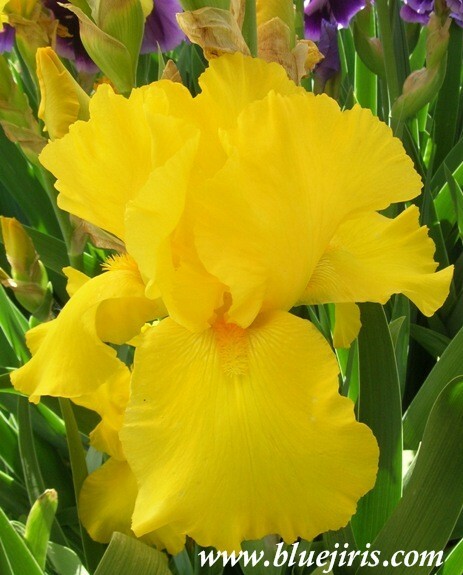 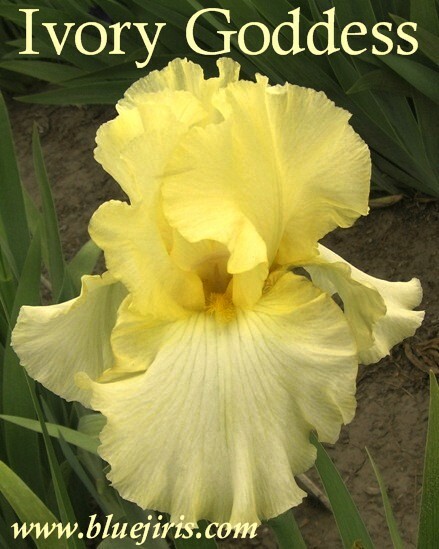 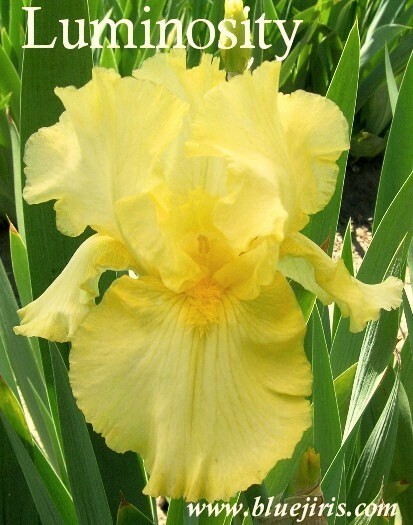 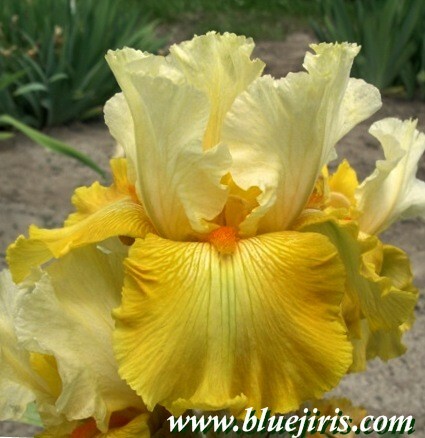 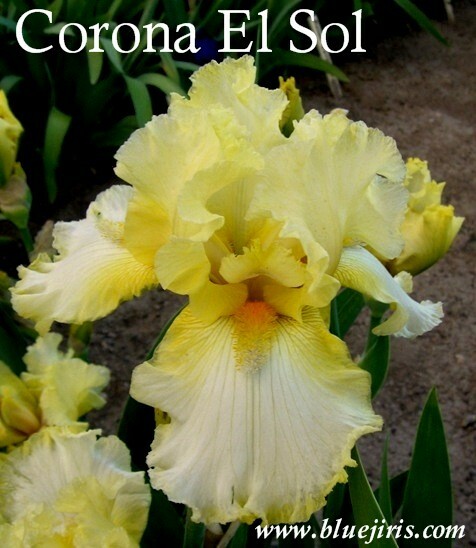 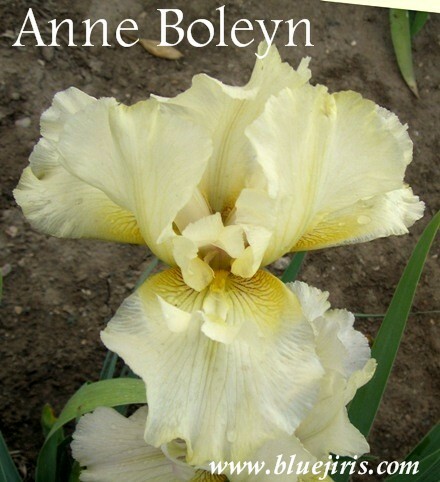 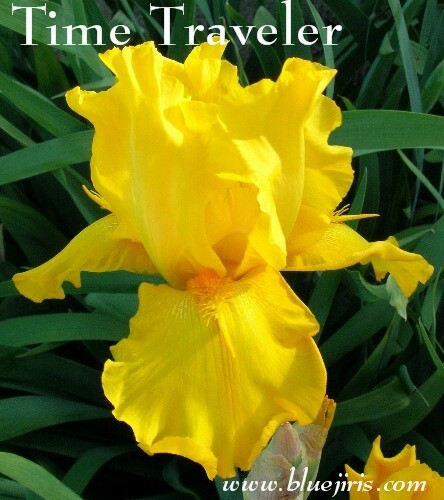 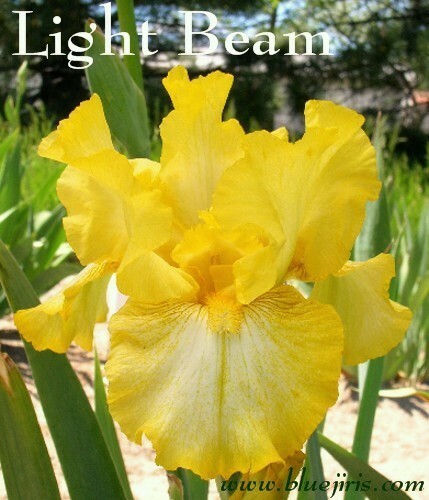 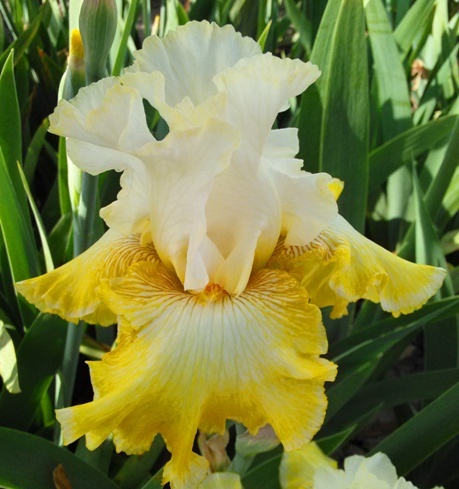 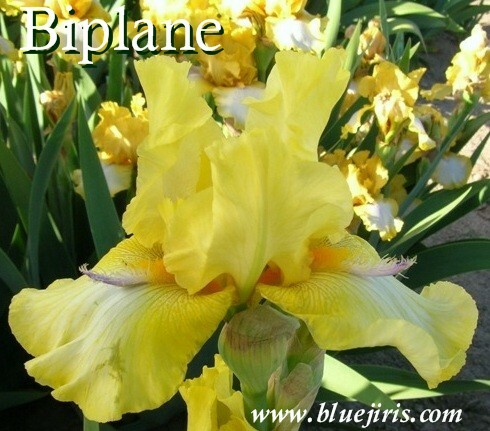 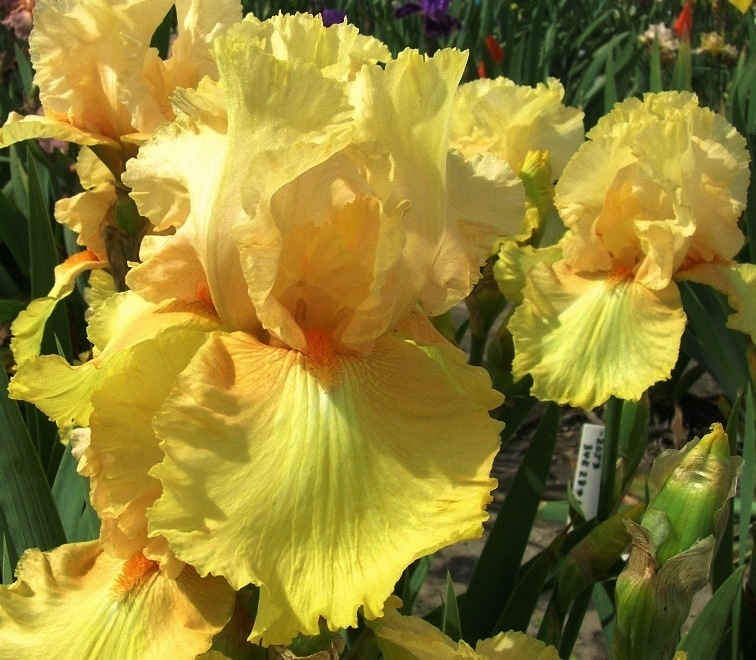 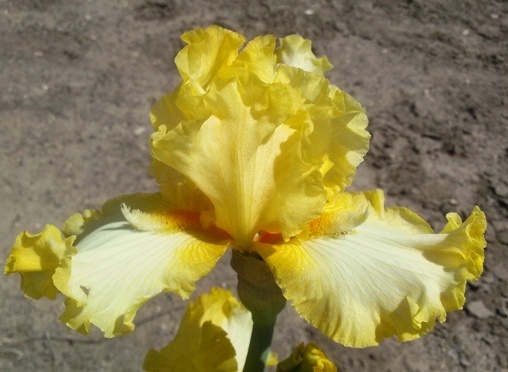 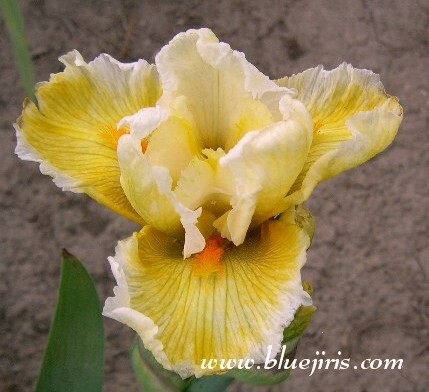 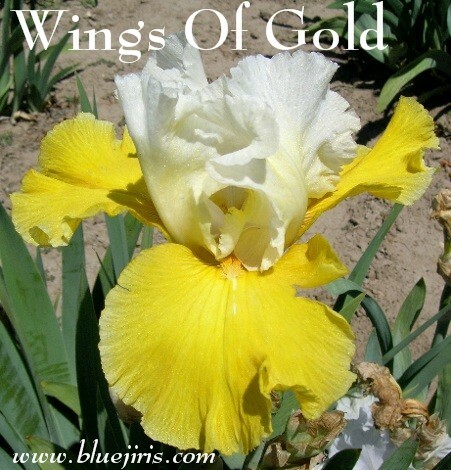 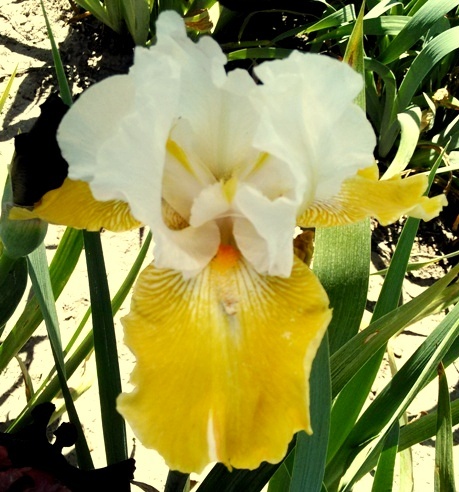 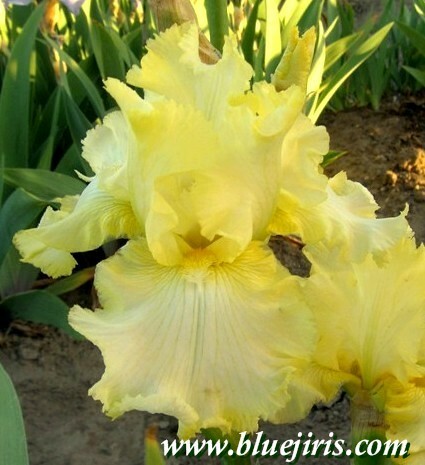 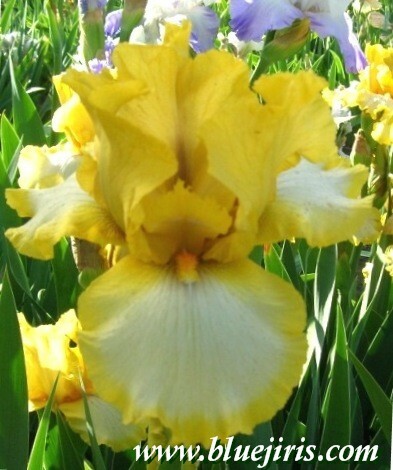 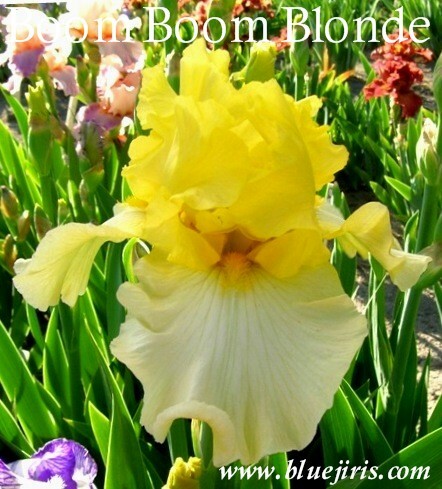 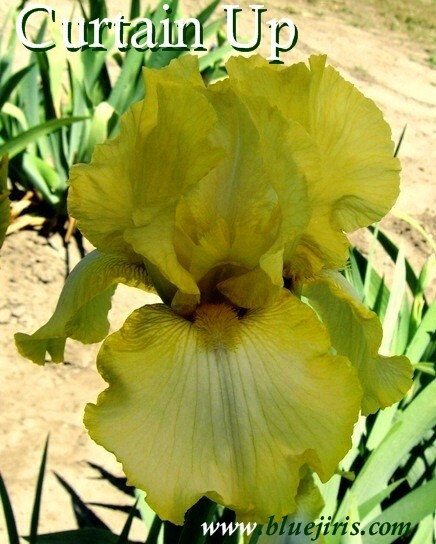 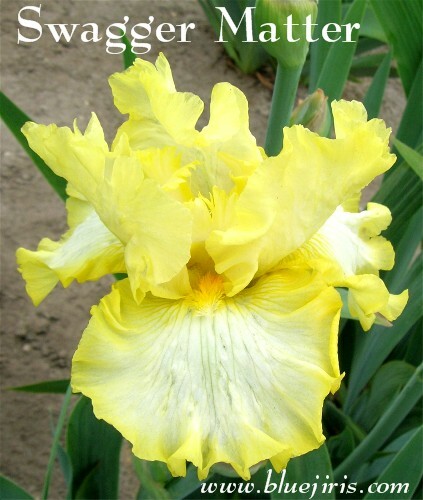 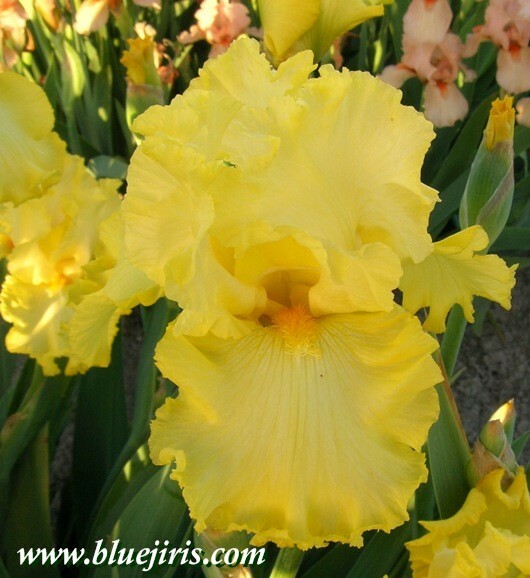 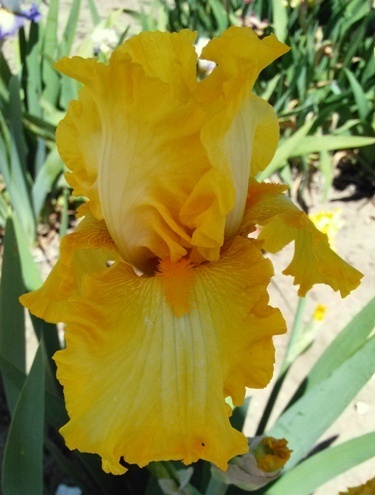 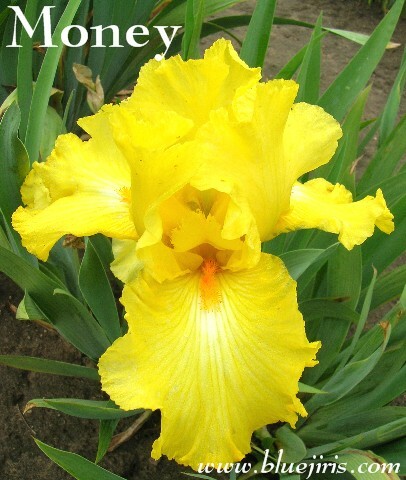 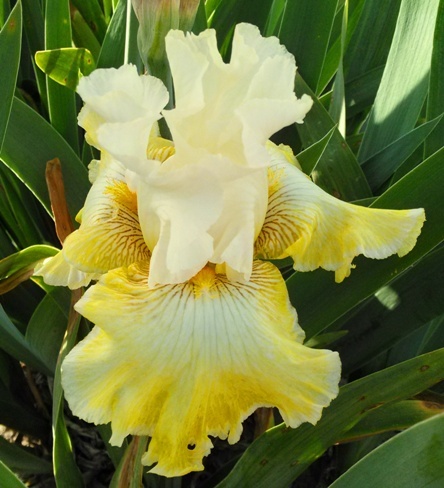 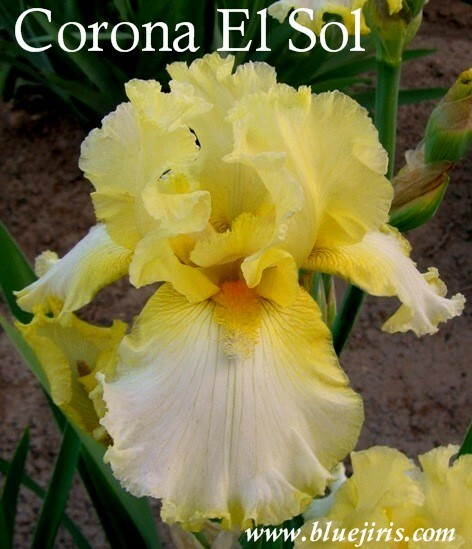 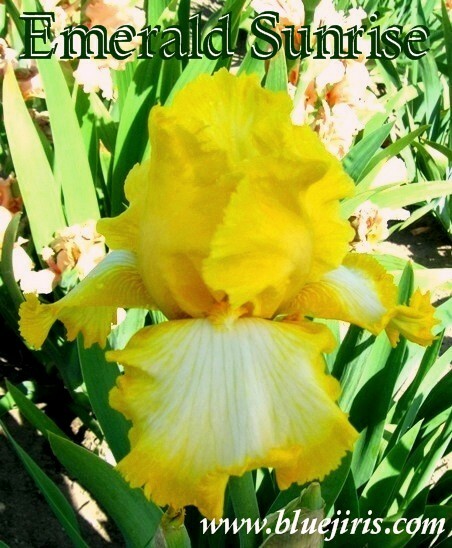 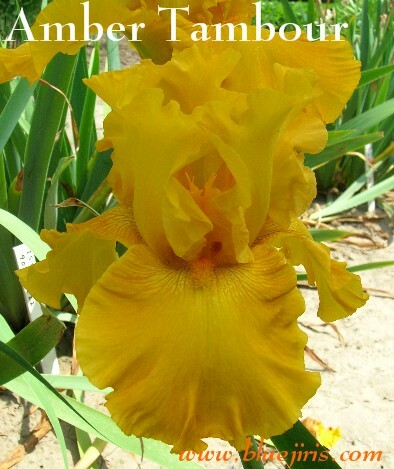 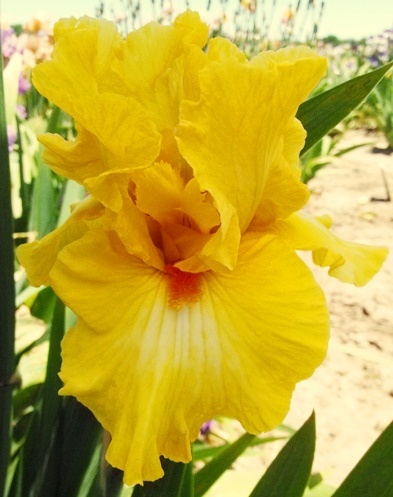 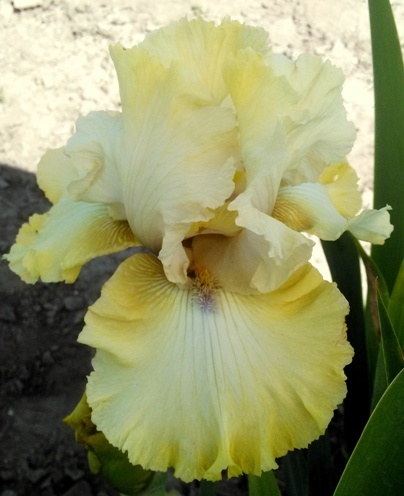 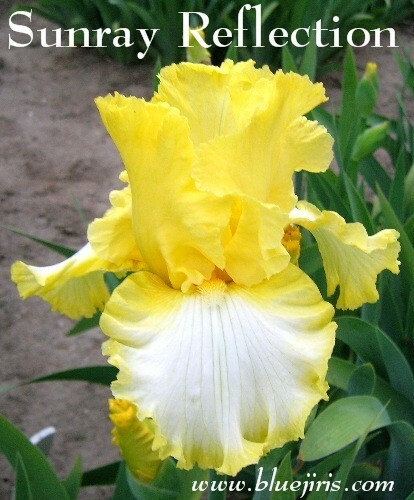 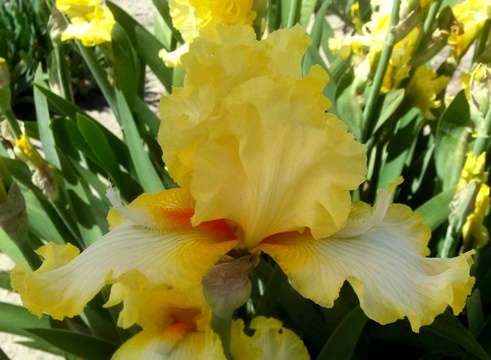 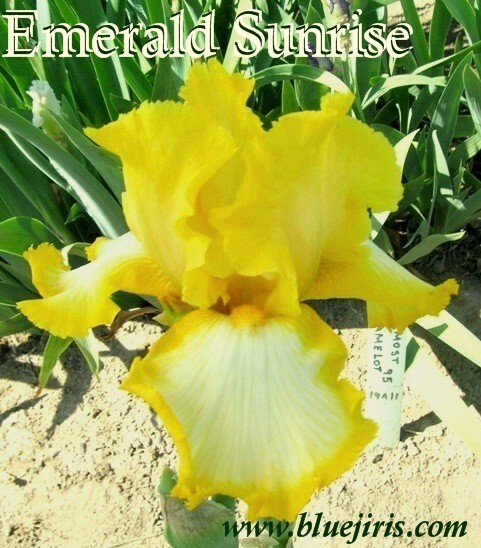 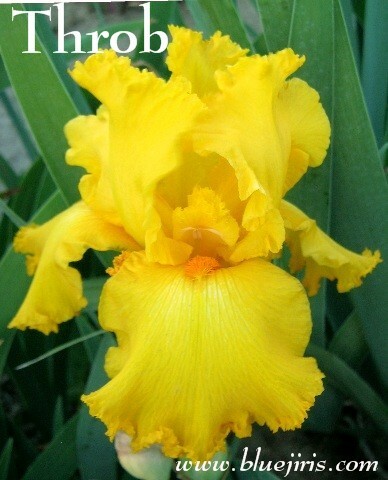 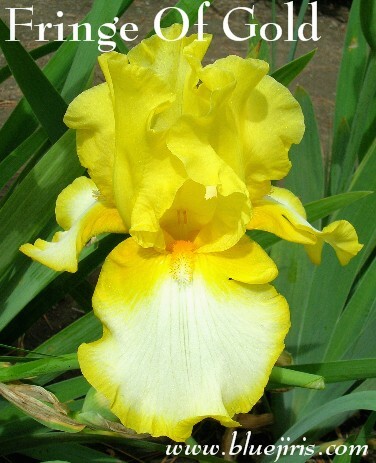 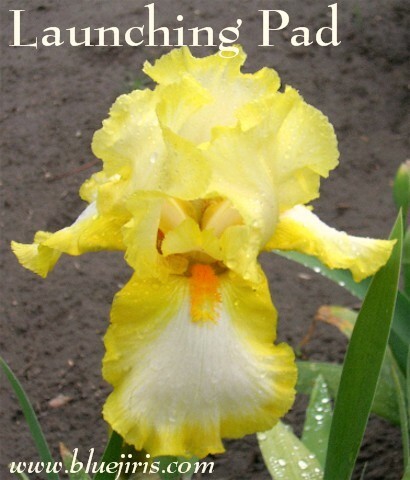 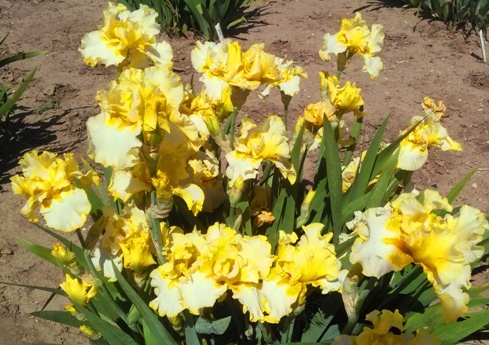 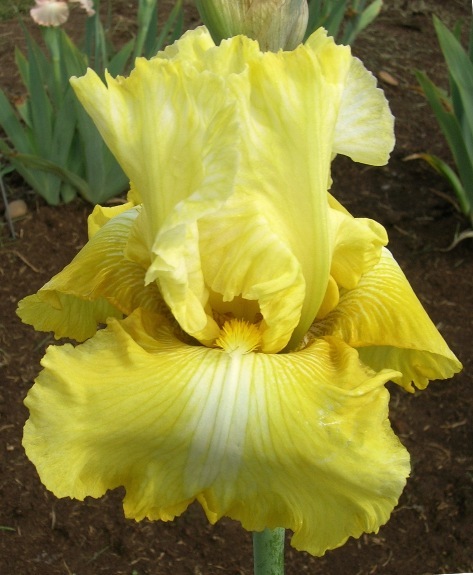 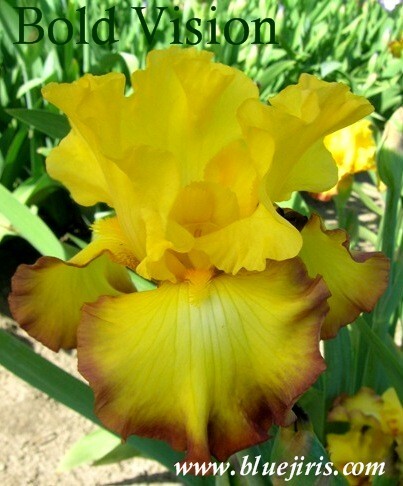 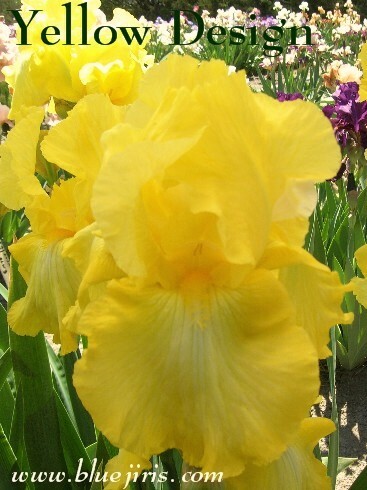 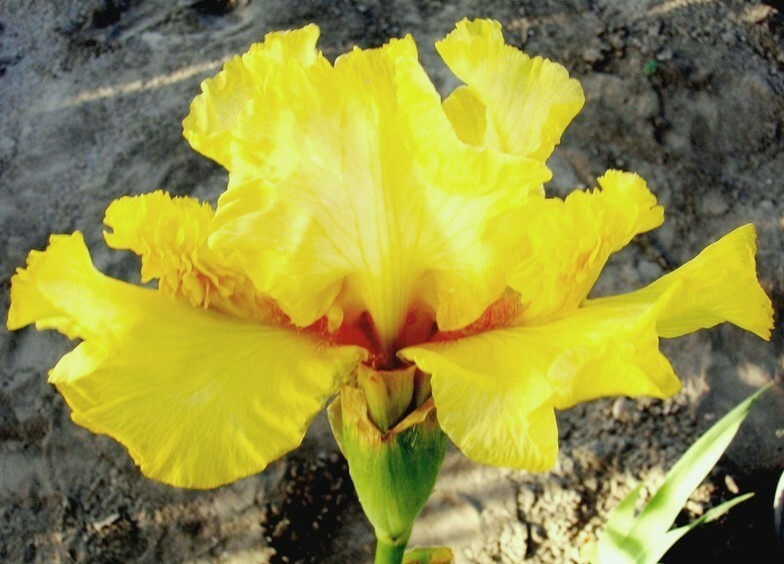 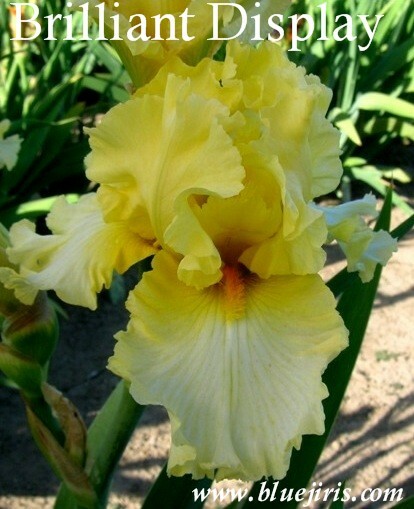 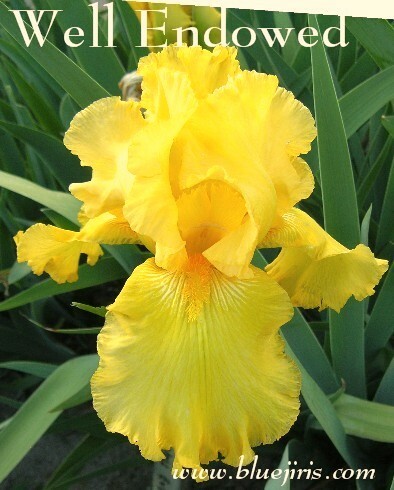 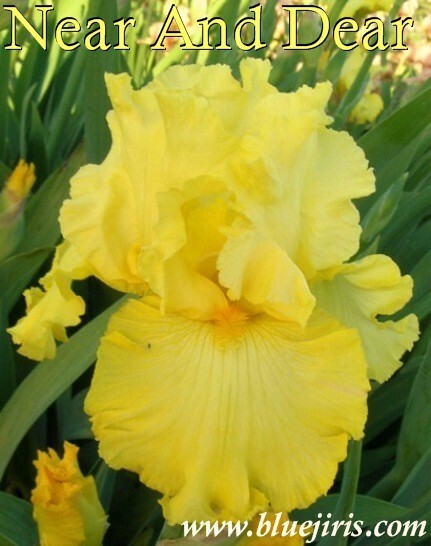 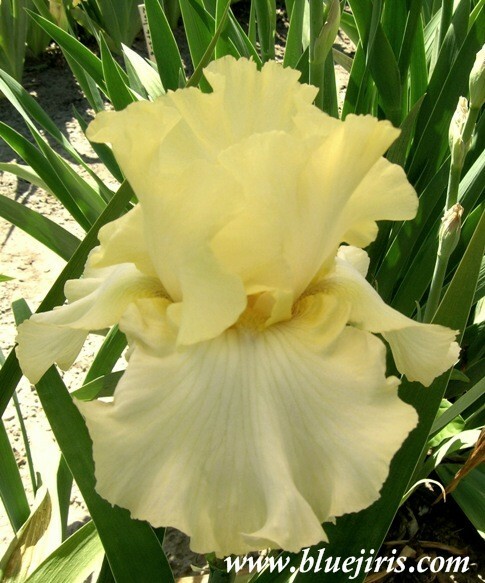 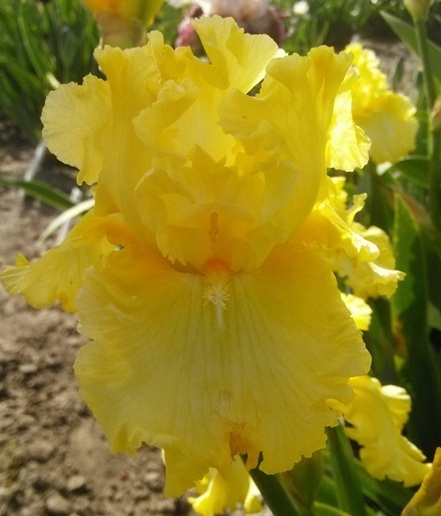 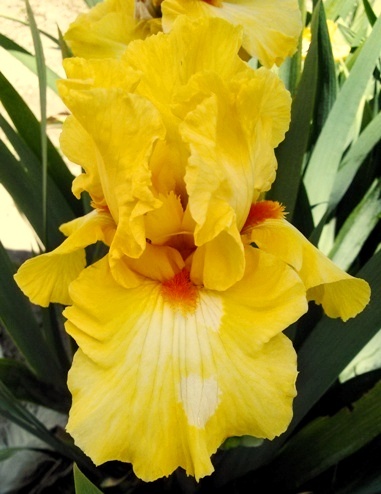 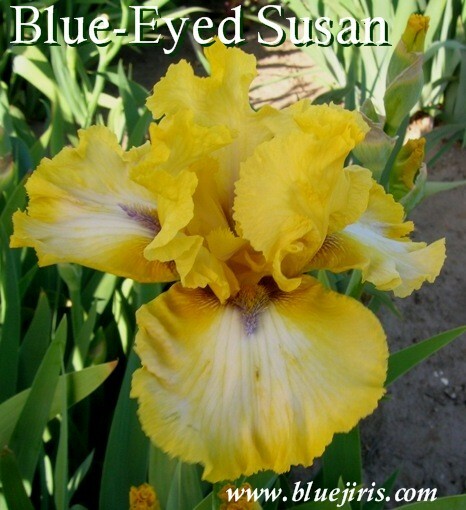 gold, flush cream F-white, heavily ruffled, 3/8" lemon yel. 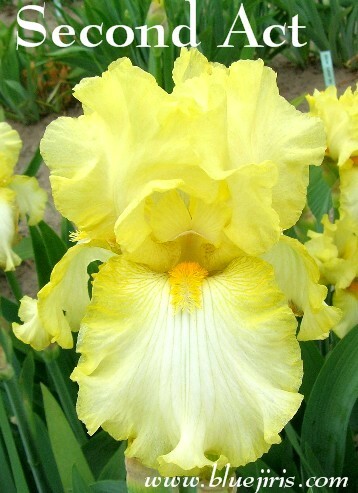 edge B-yel. 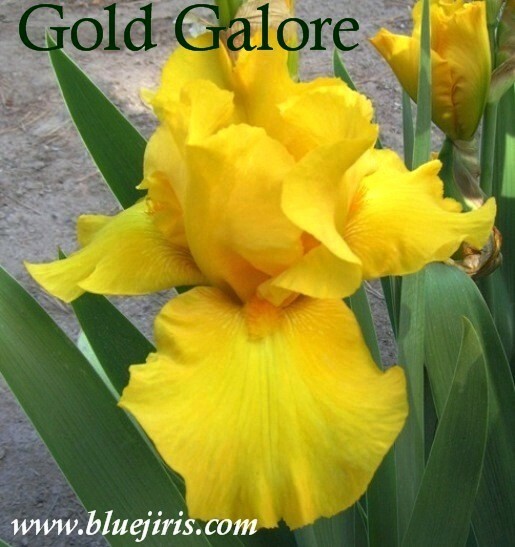 gold; sl.sw.frag. 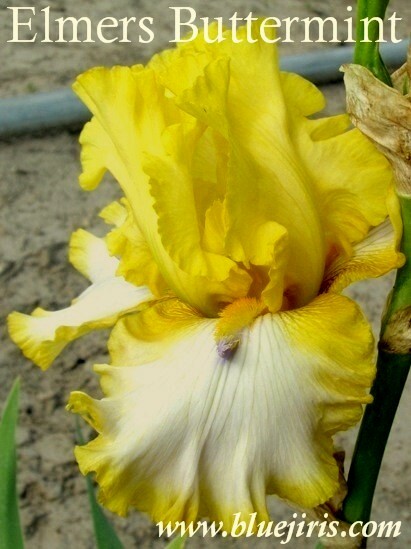 S-amb.yel.,centr peach; F-white,yel.rim/shdr; B-capsicum red;ruf;pron.sw.frag.